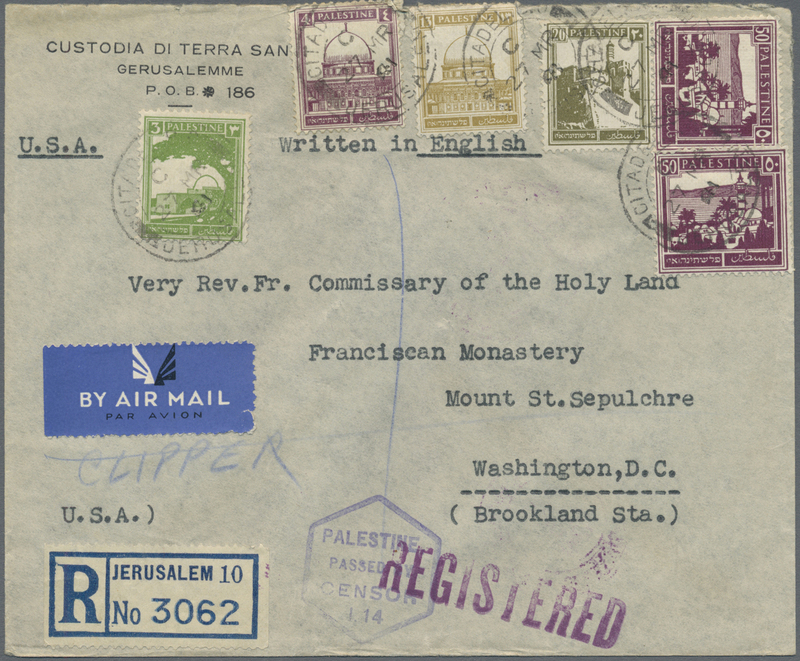 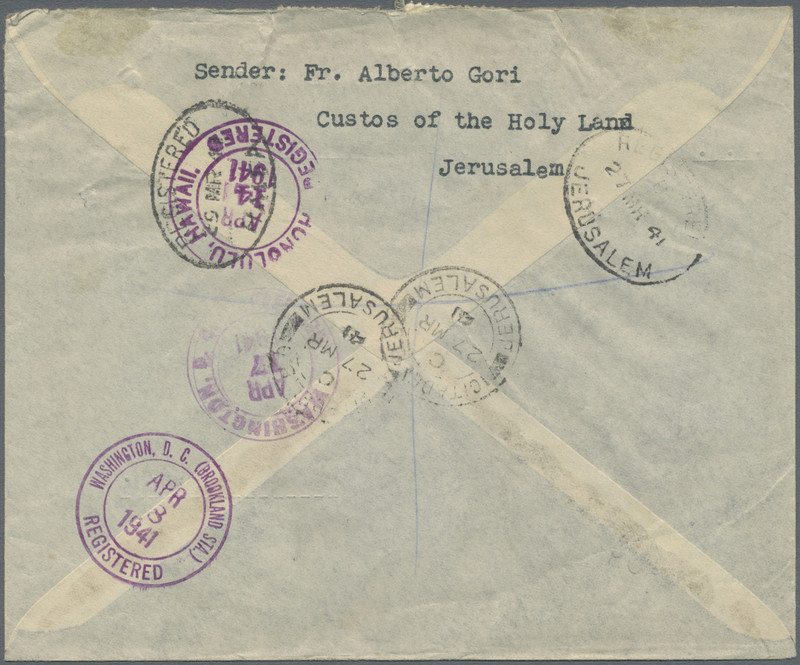 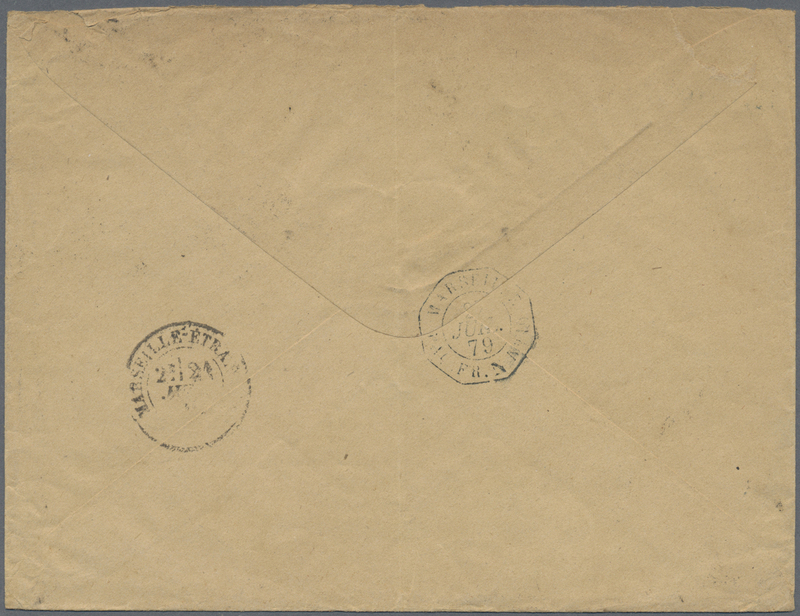 9535 Brief (cover) SG O4, O14, O15 1947 'On H.H.S.' 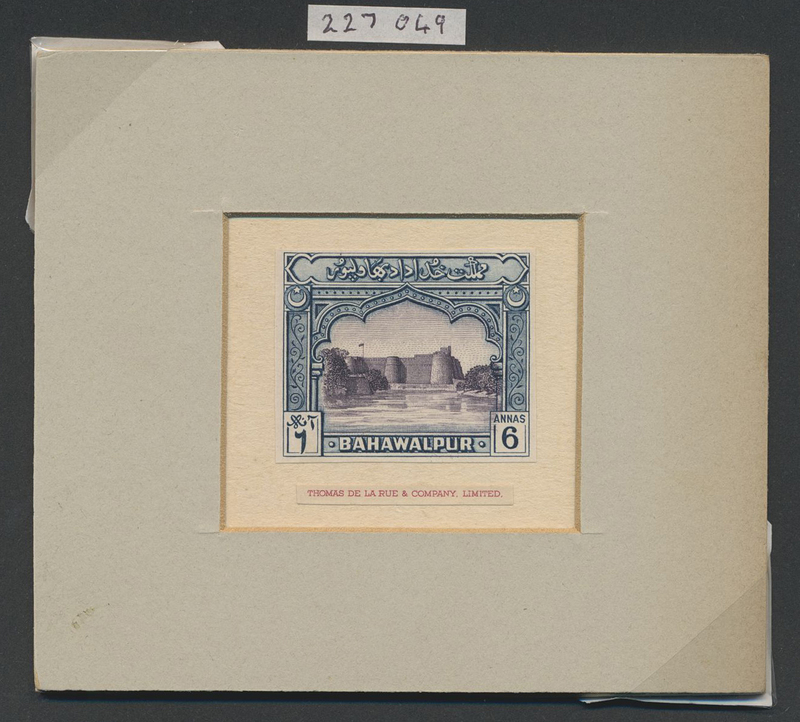 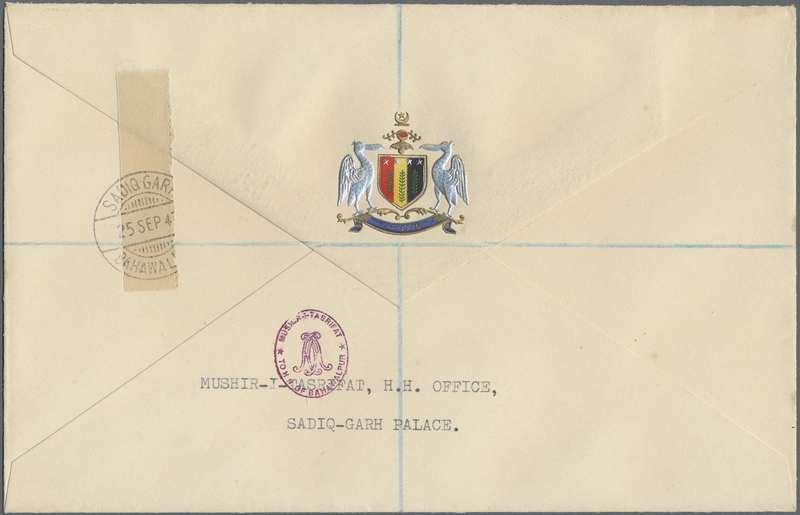 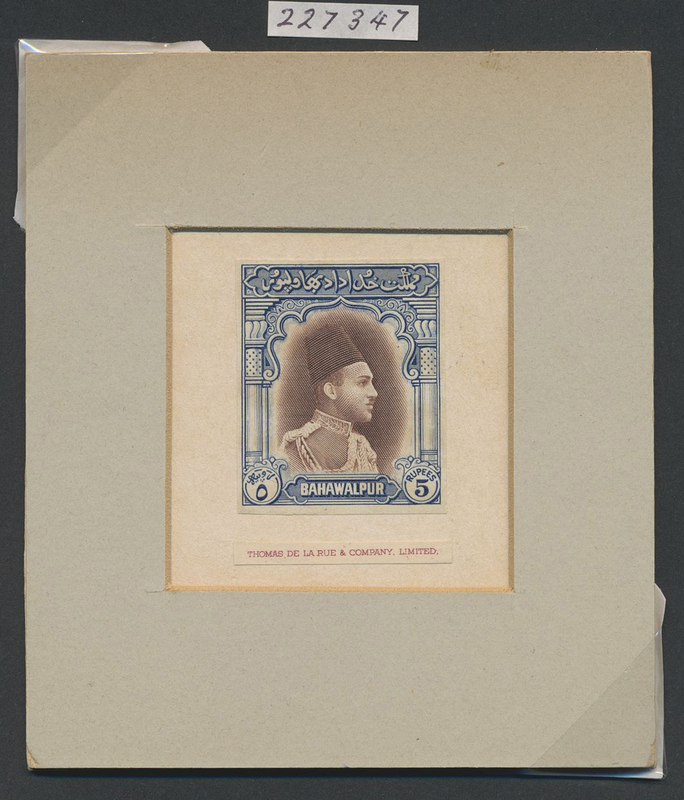 Bahawalpur official envelope used registered from the Sadiq-Garh Palace (two-lines handstamp on front) to the Prime Minister, Baghdad-ul-Jadid, franked on the reverse by 1945 Official 4a. 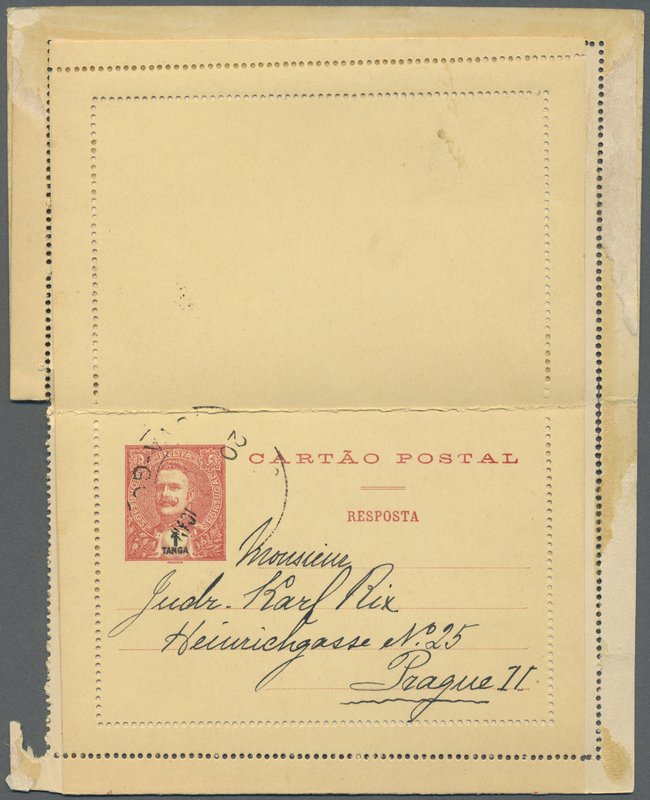 (Sakari ovpt. 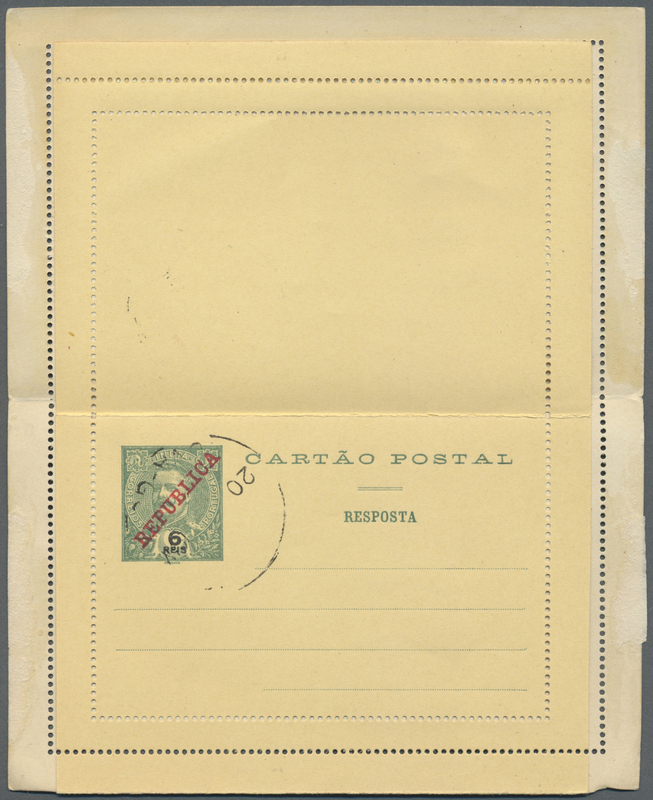 ), ½a. 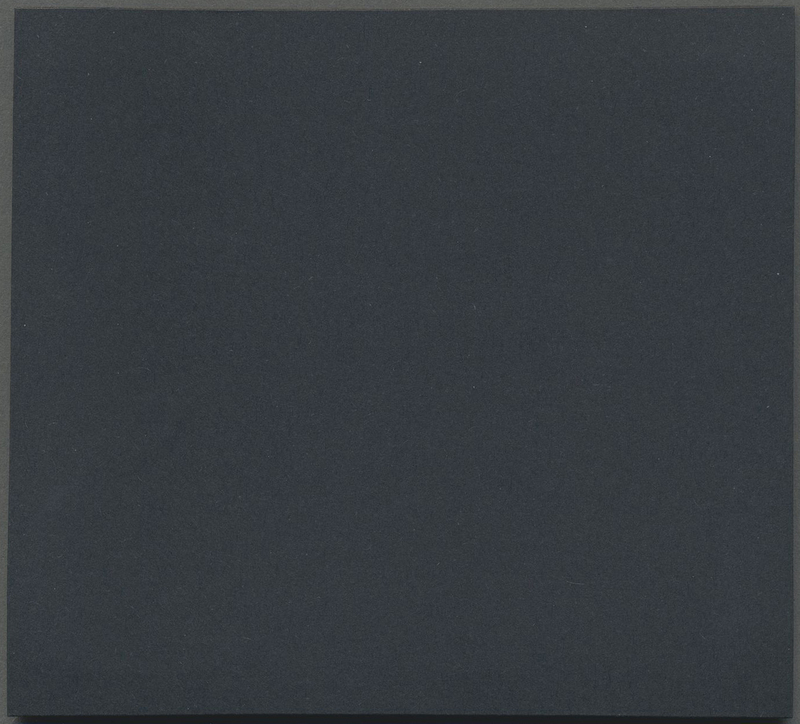 and 1a. 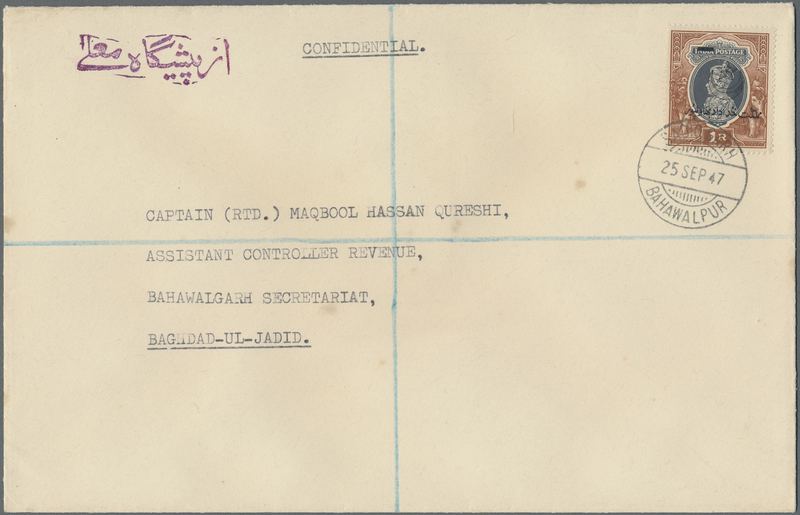 (both SERVICE ovpt) all tied by "SADIQGARH PALACE/27 JAN 47" cds, and '28 Jan 47' arrival cds alongside. 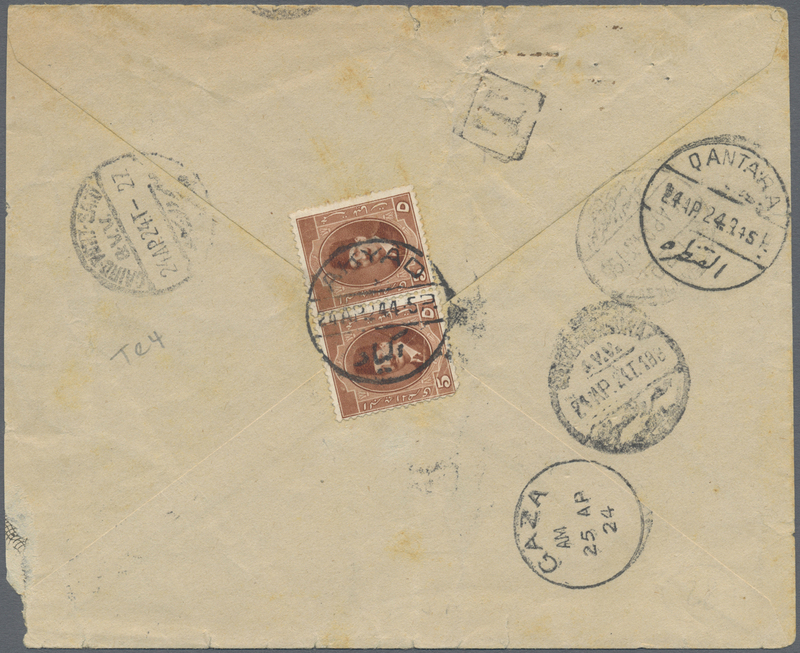 Few minor faults as stains affecting 1a. 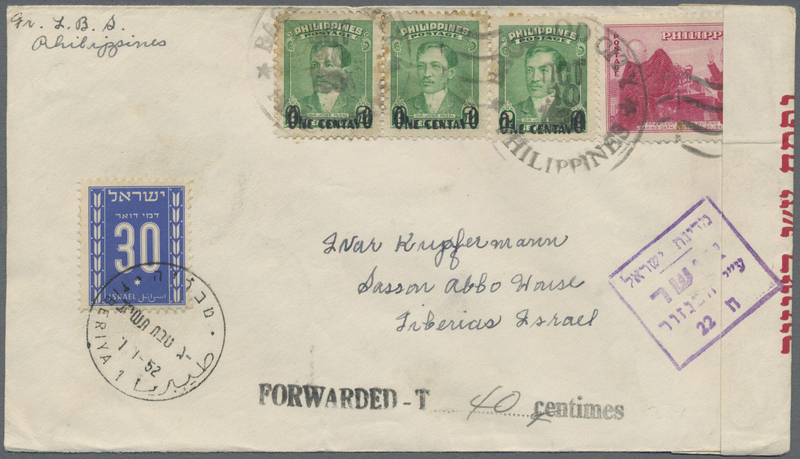 adhesives and cover folds, but still a good and A RARE OFFICIAL COVER. 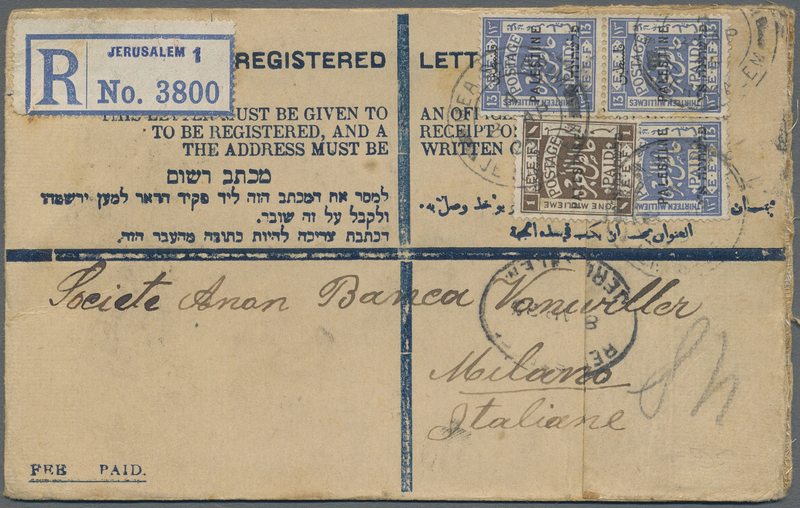 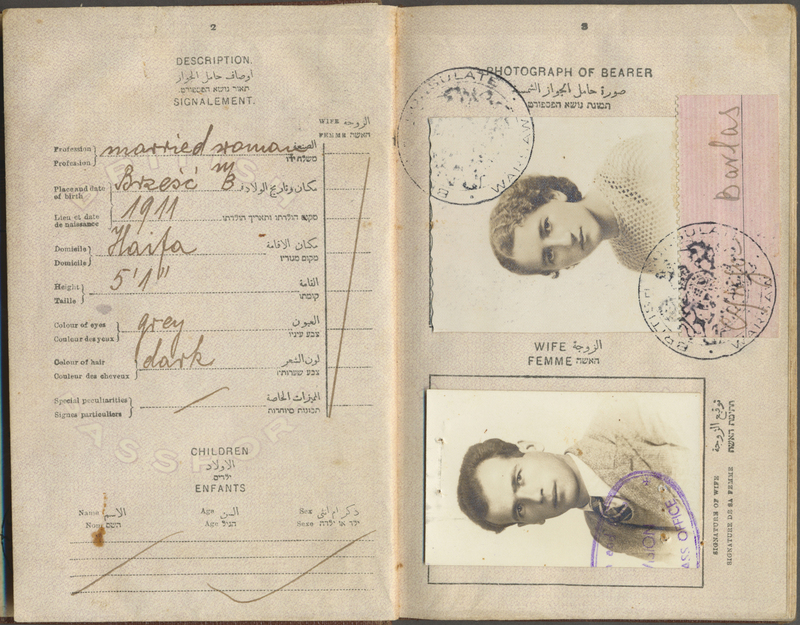 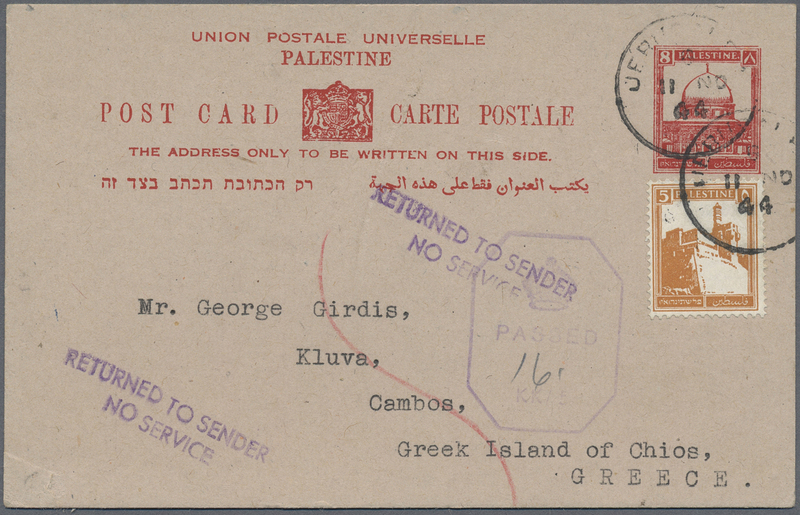 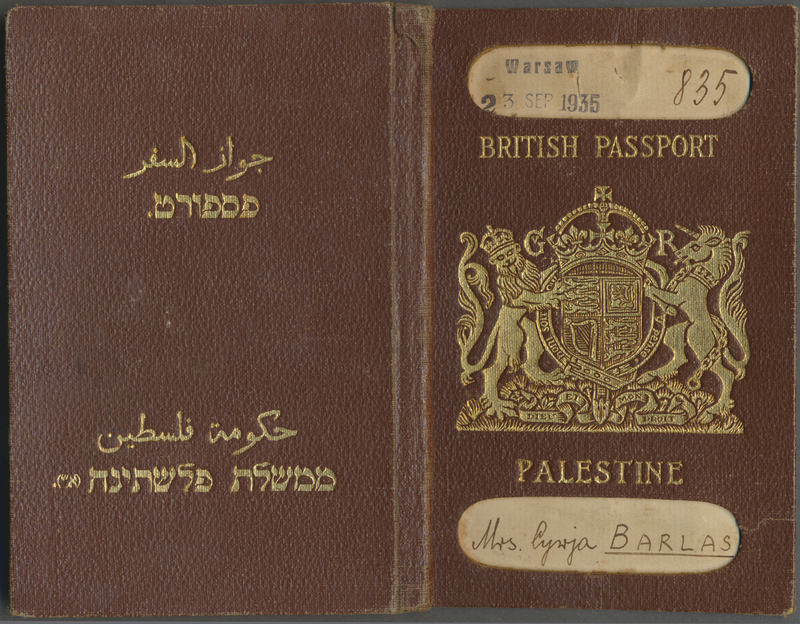 9541 1935, "British Passport Palestine" for Mrs. Cywja Barlas (*1911, resident at Haifa) issued Warsaw 23 SEP 1935 with Palestine revenues 250 M. and 500 M. resp. 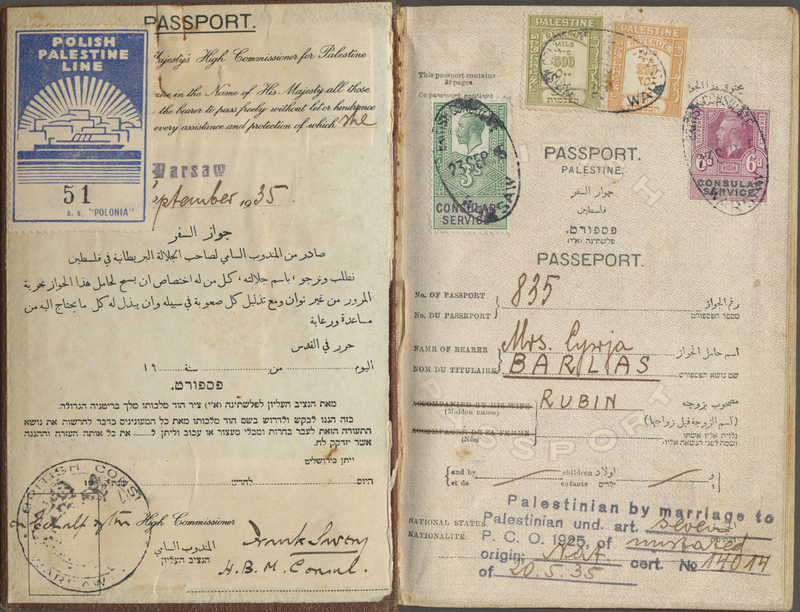 UK "Consular Service" fiscals KGV 3 S. and 6d with oval "British Consulate Warsaw", numbered label of "Polish Palestine Line S. S. Polonia", 1935 visas of Poland, Rumania (with fiscal) and entry date of Palestine 1 Oct 35. 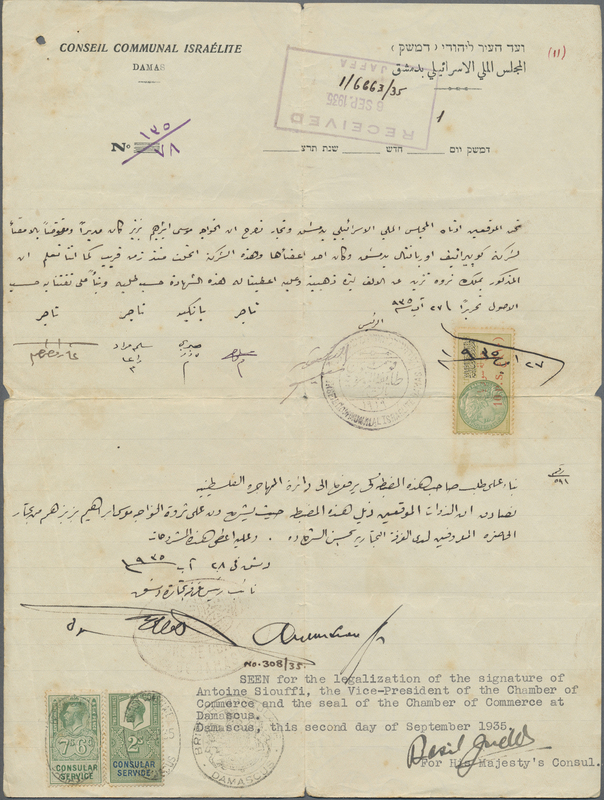 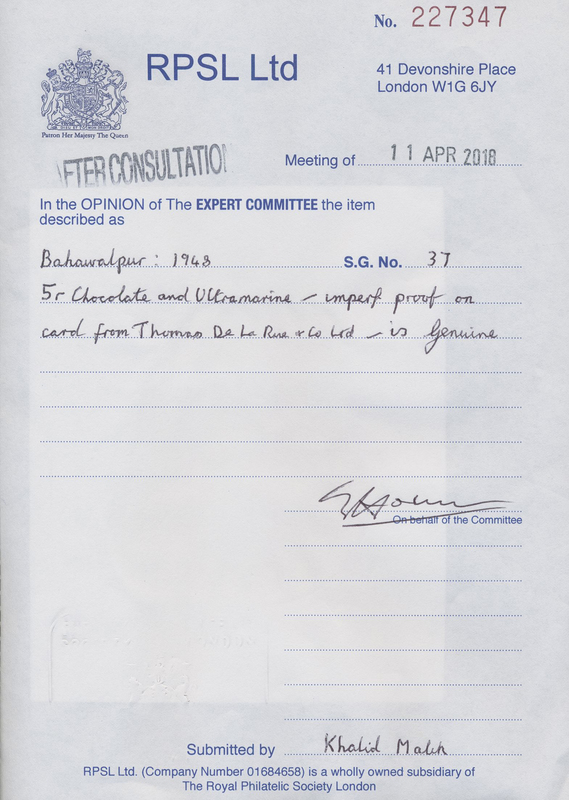 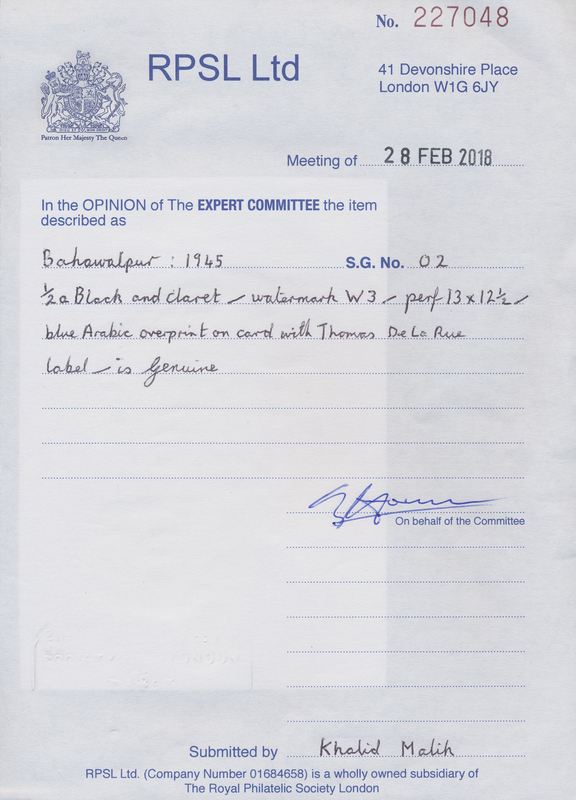 Plus 1935 Sept. 2 document of "Israelite City Council" of Damascus "for the legalization of the signature of Antoine Siouffi, the Vice-President of the Chamber of Commerce and the seal of the Chamber of Commerce at Damascus" with fiscals of French Syria 10 Ps. 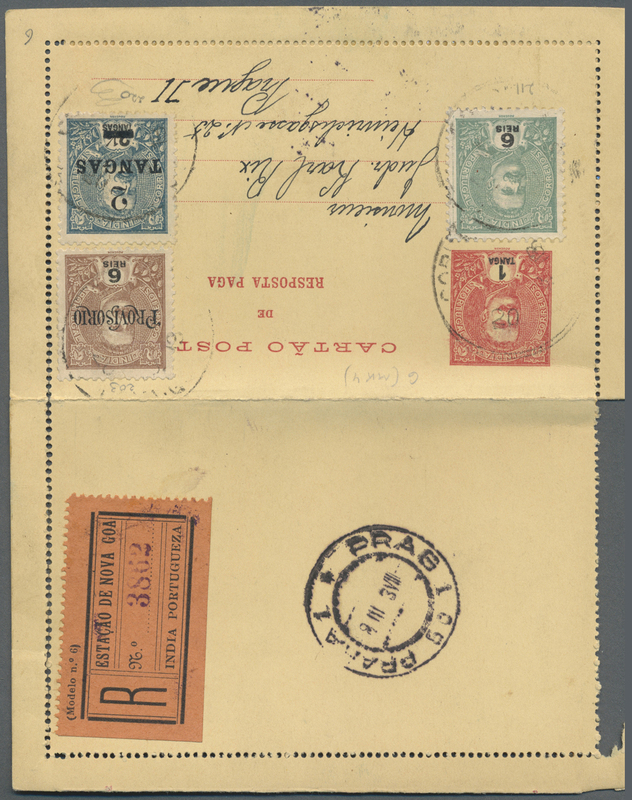 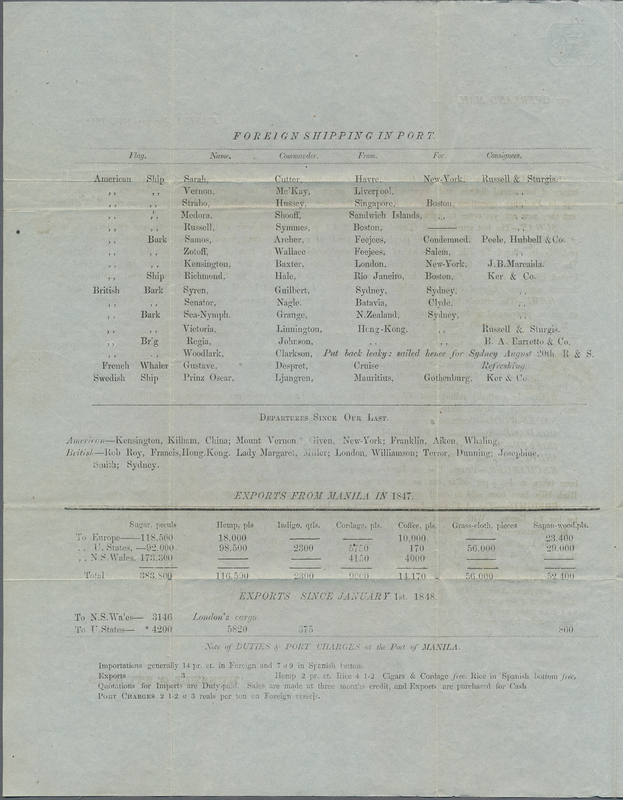 and UK KGV consular serivce 7s 6d resp. 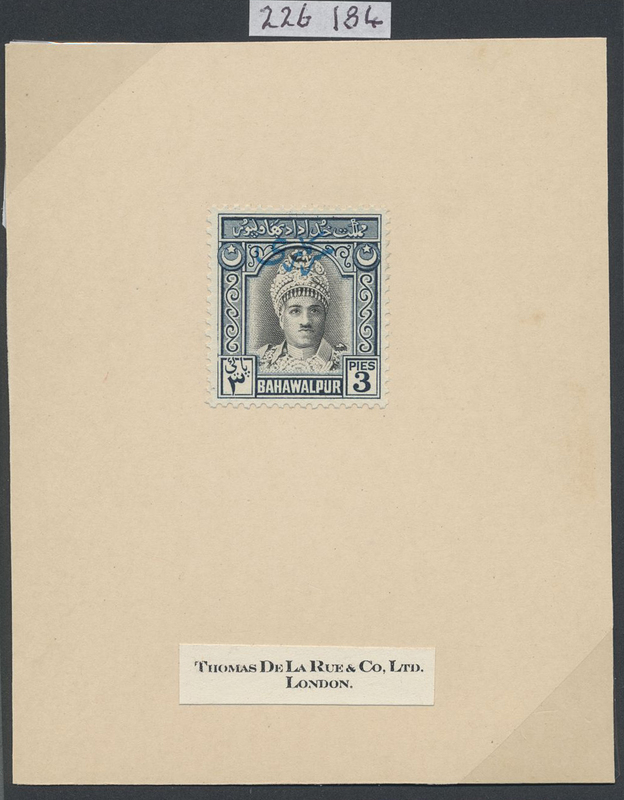 2s tied oval "DAMASCUS". 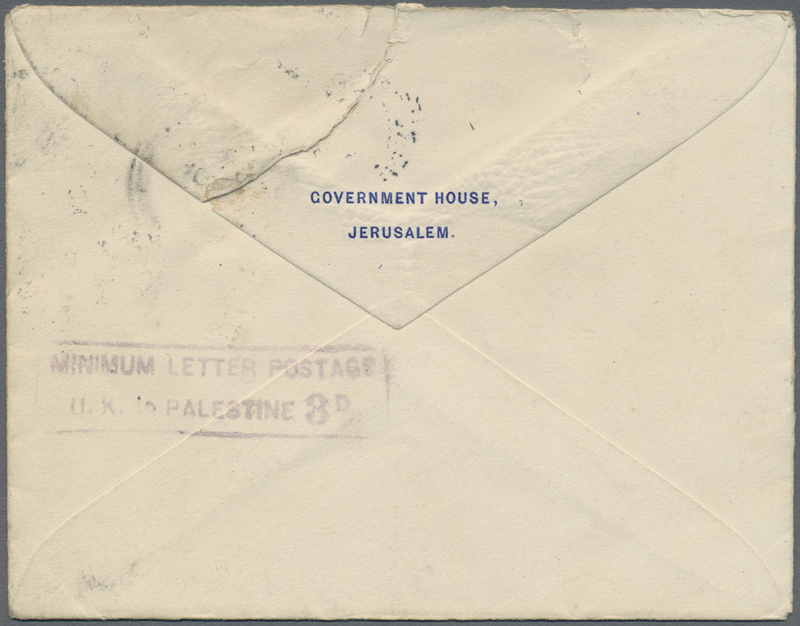 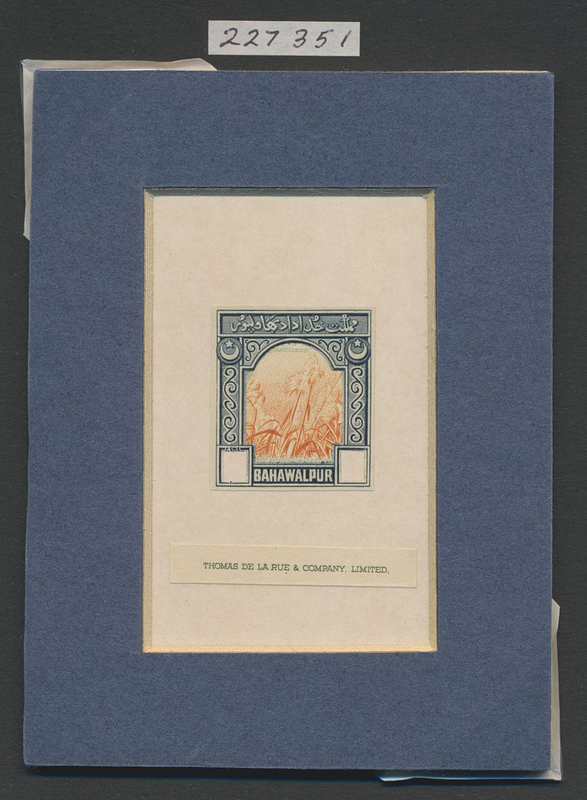 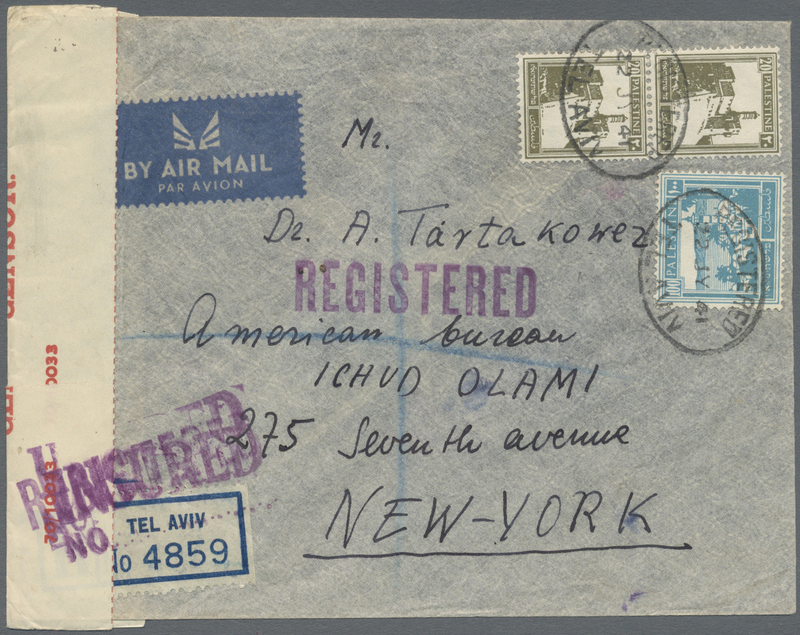 CERTAINLY ONE OF THE BEST PALESTINE FIRST ISSUE POSTAGE COVERS KNOWN. 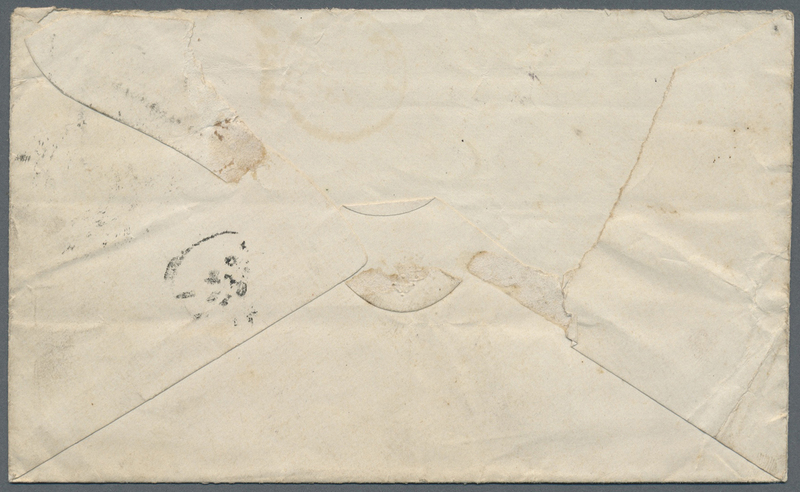 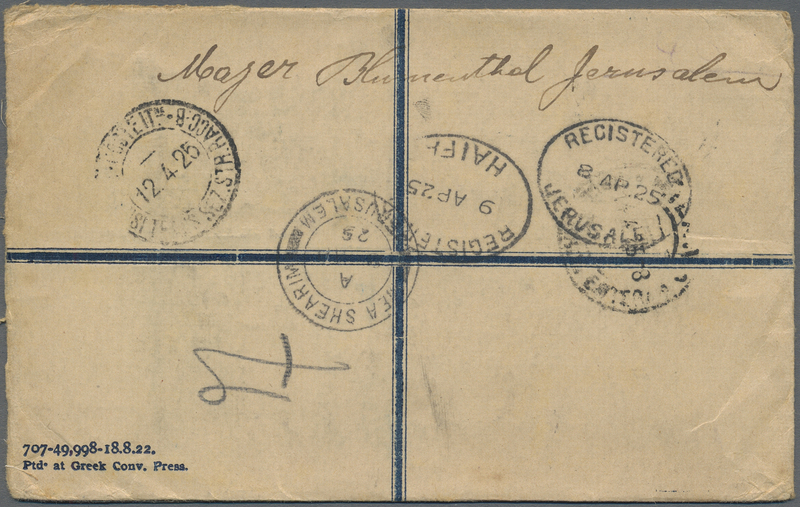 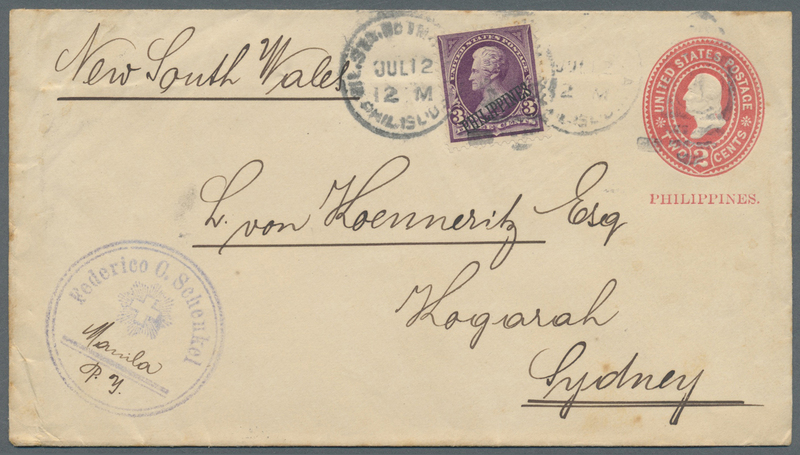 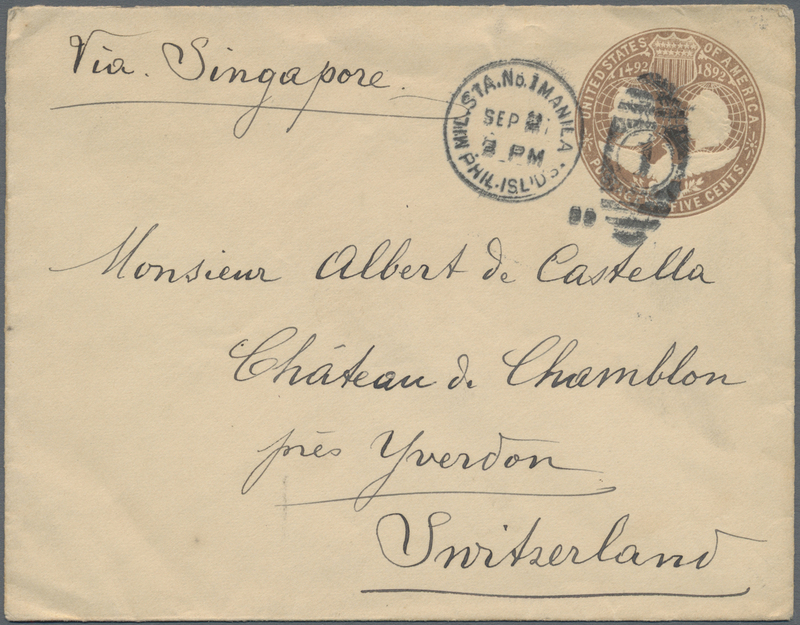 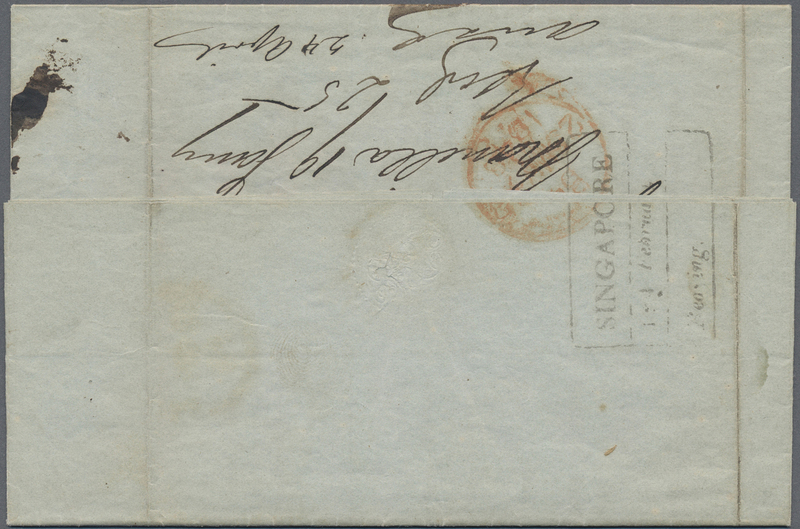 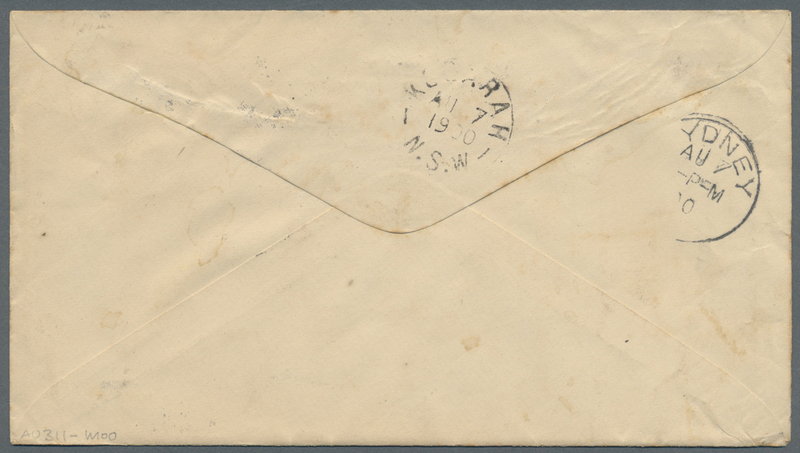 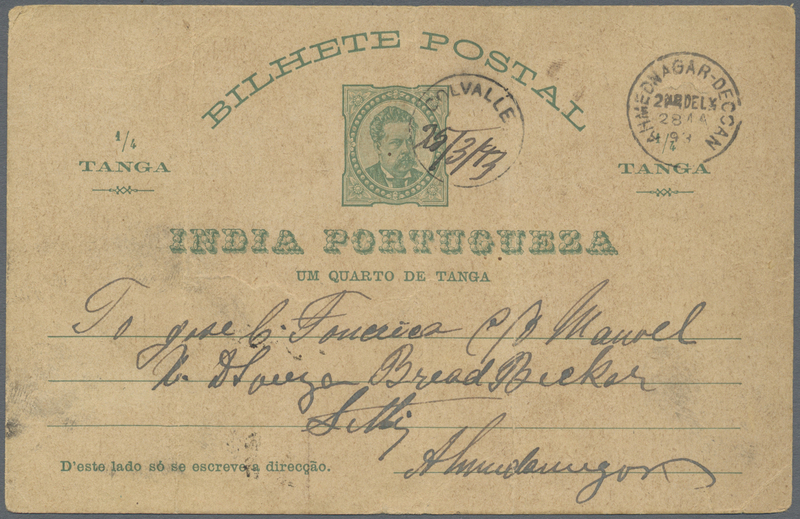 9550 Brief (cover) 1848, "SINGAPORE 14.Februar/Bearing. 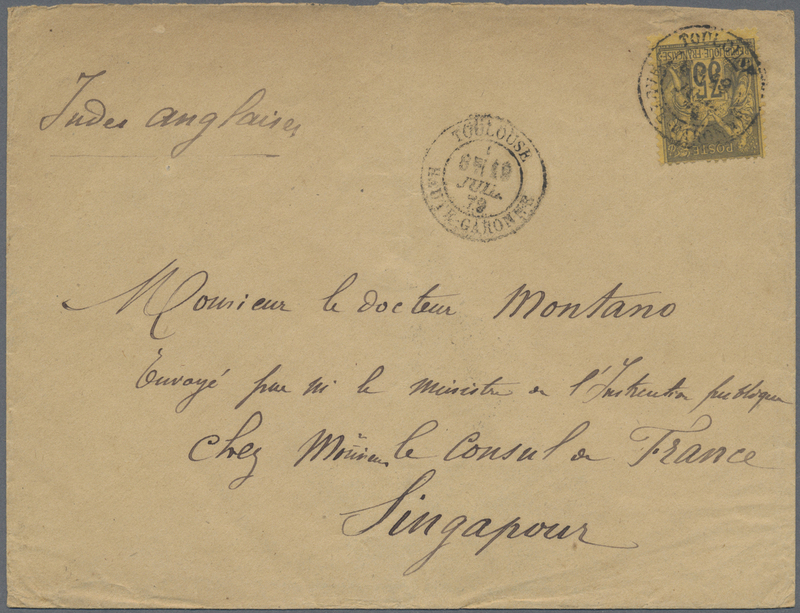 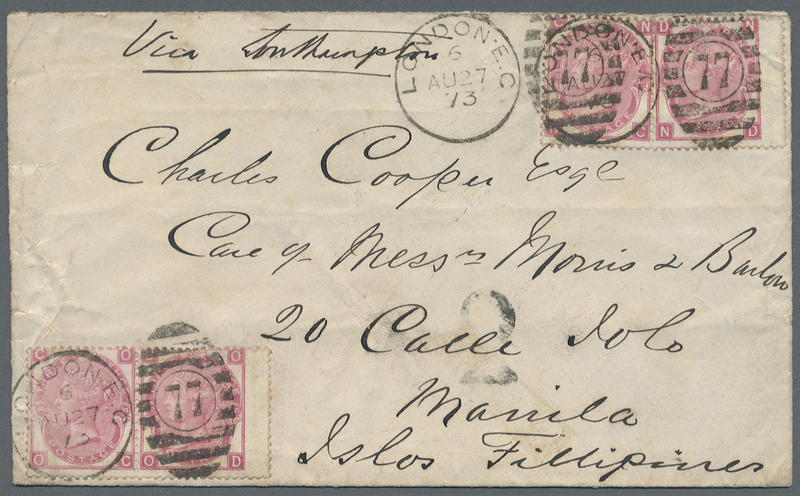 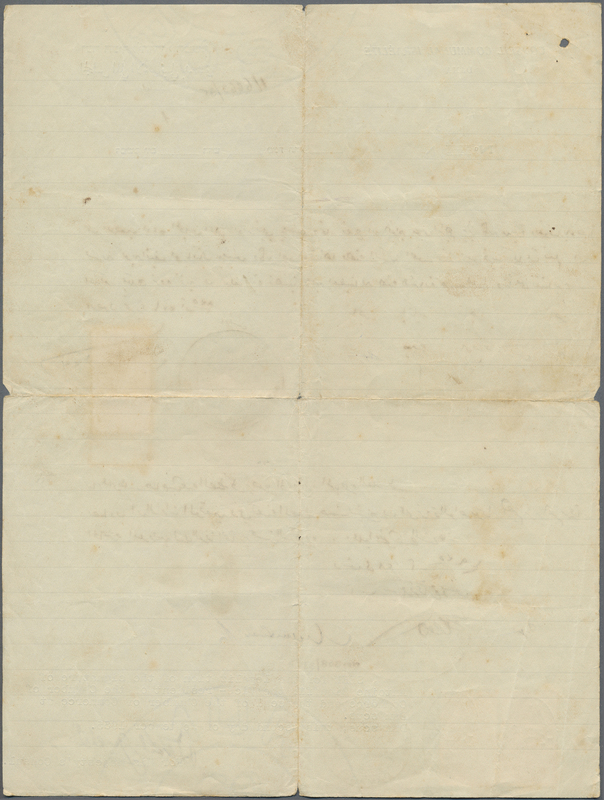 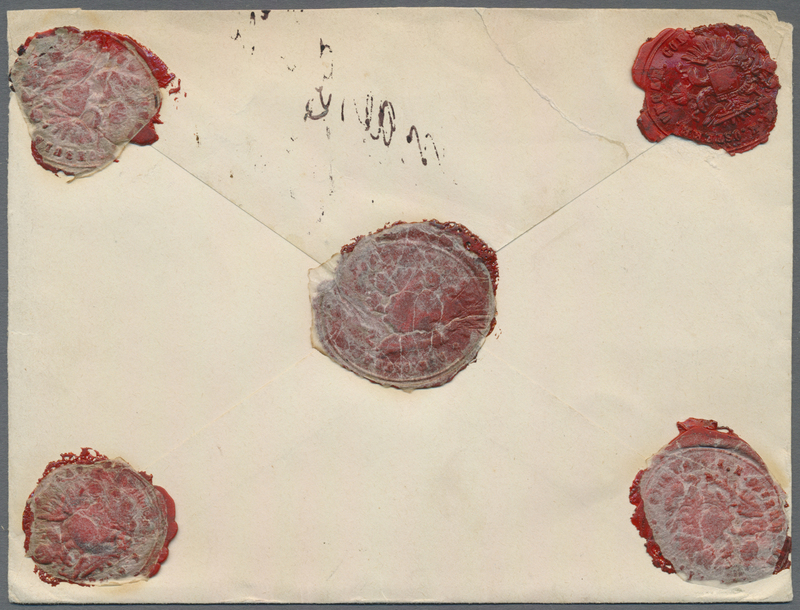 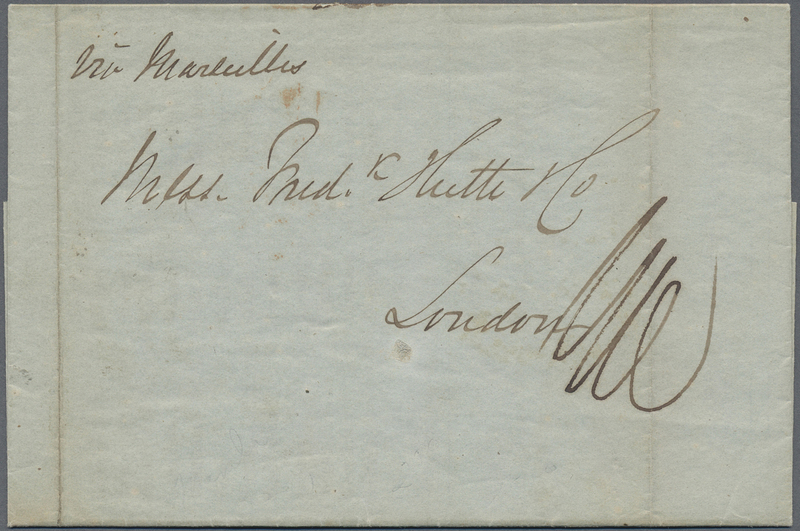 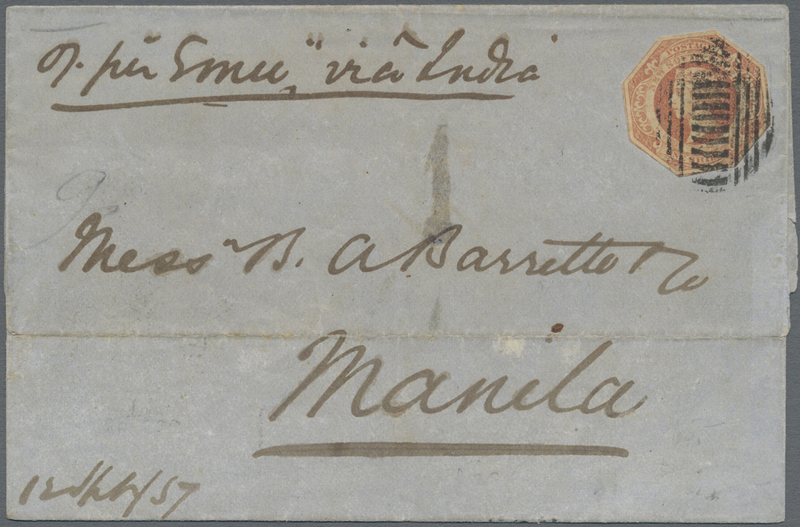 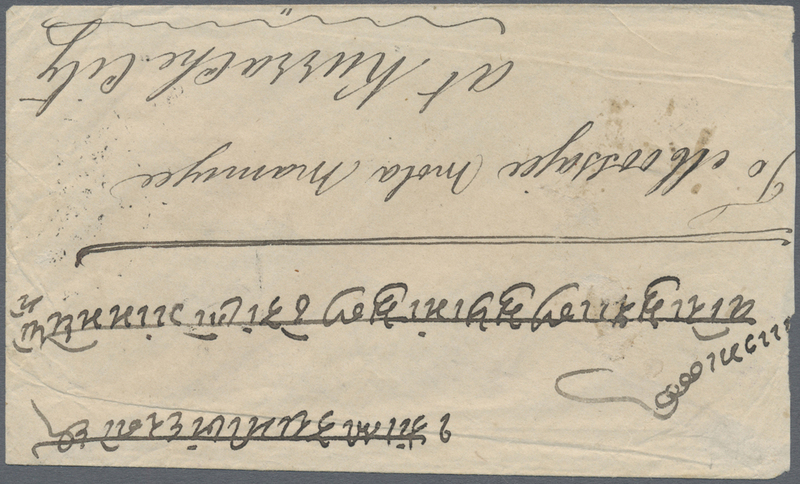 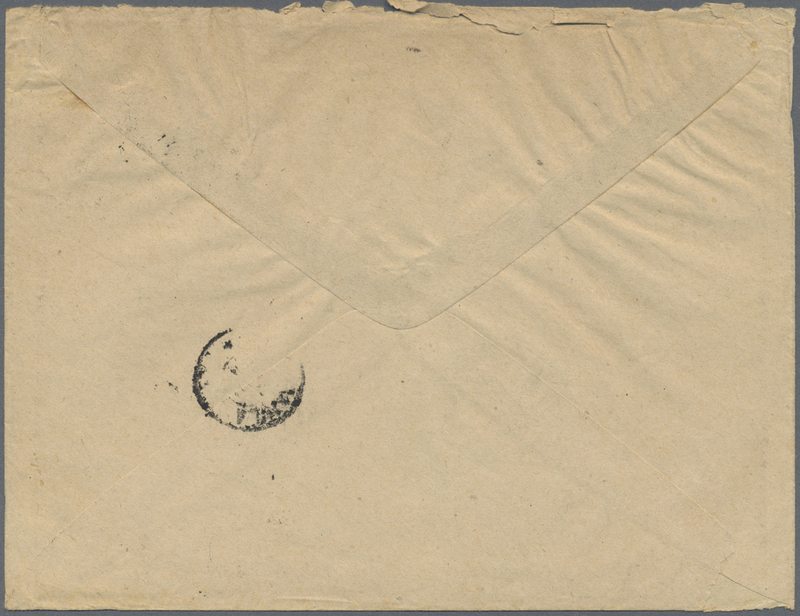 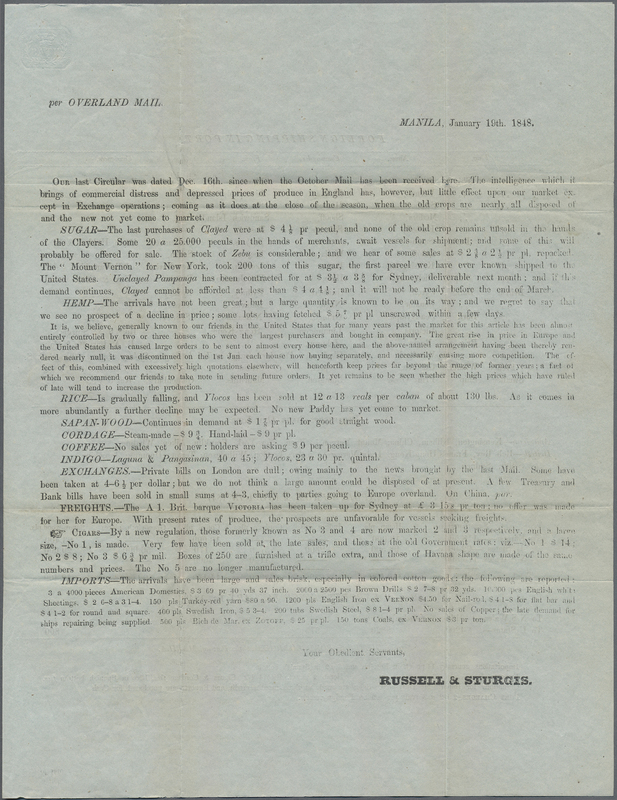 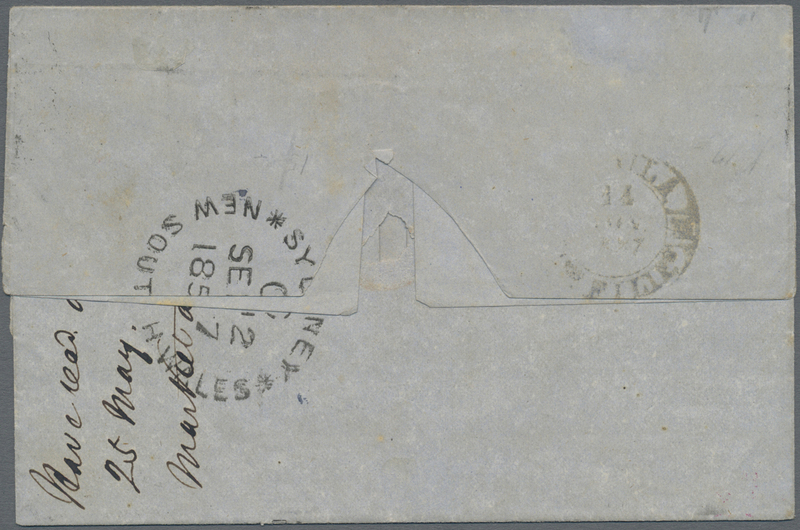 ", postmark in black to reverse to folded letter with printed Circular of "Russell & Sturgis - Manila, January 19th.1848" with handwritten endorsement "via Marseilles" to London with arrival marks, fine, very early cover from Manila! 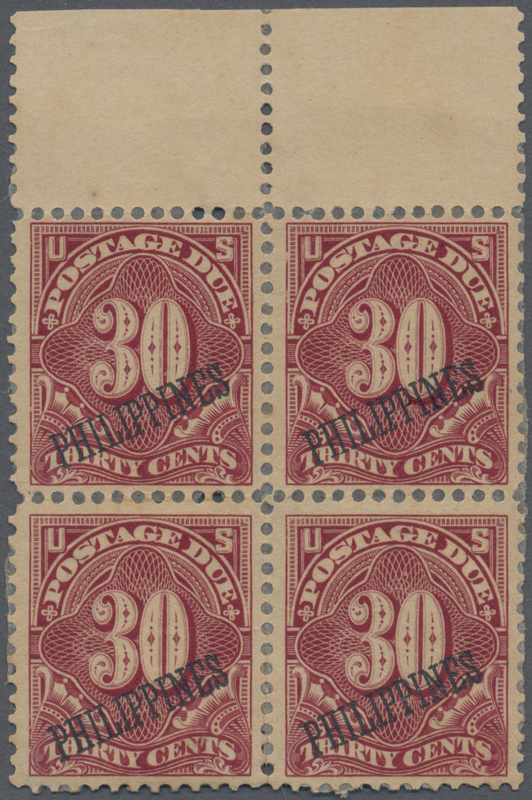 9558 Ganzsache (Complete) 1898, card 1 C. Jefferson uprated 1 C. Franklin tied duplex "PHILIPPINES STATION / SAN FRANCISC, CAL." 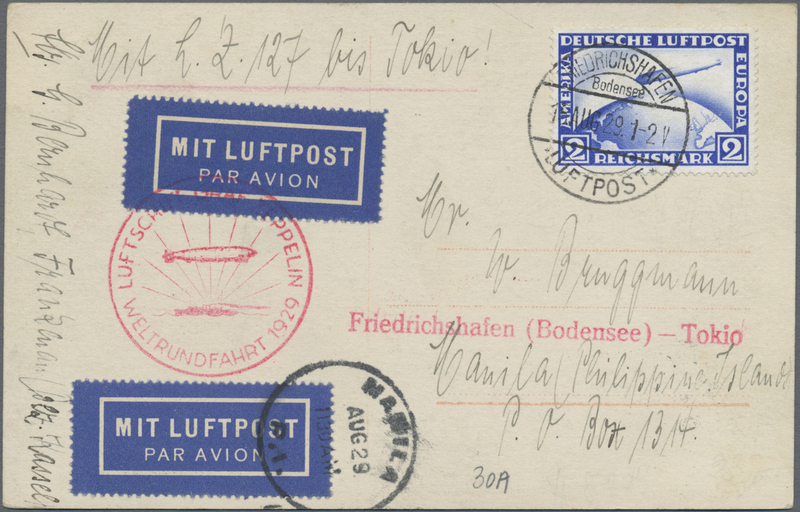 via "HONG KONG SP 5 98" (ties uprate) to Germany w. arrival "SCHMIEDERBERG 19.10.98". 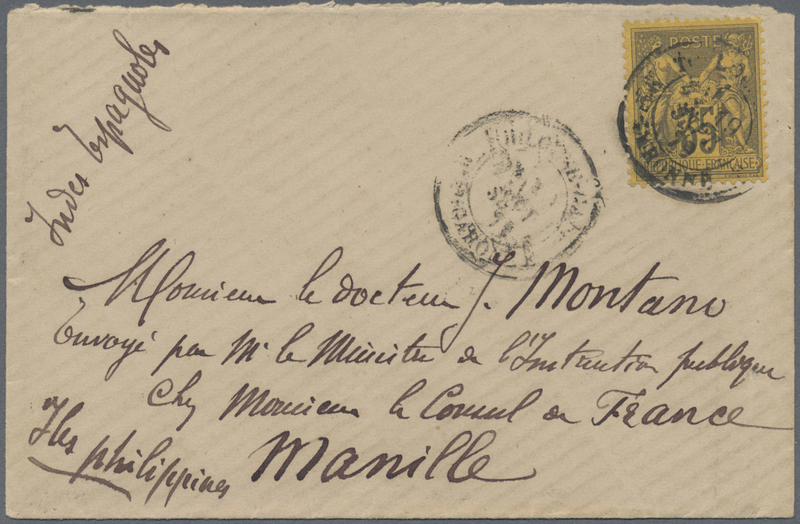 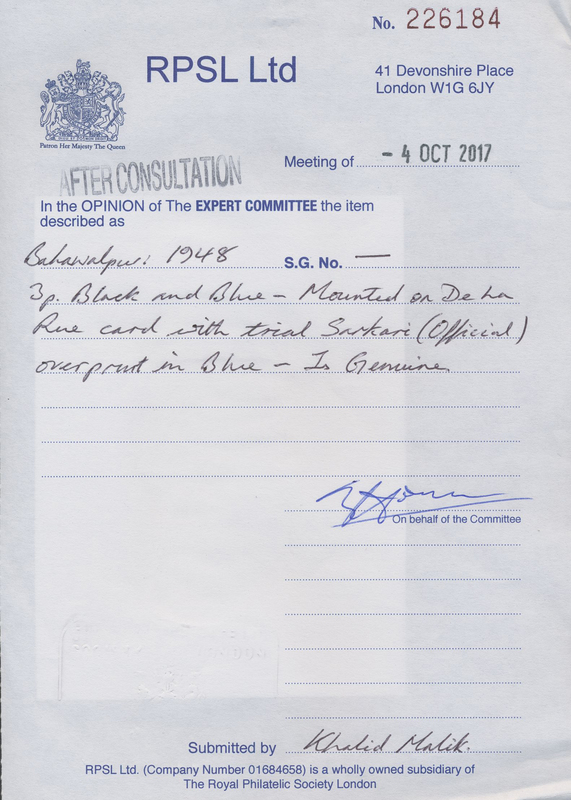 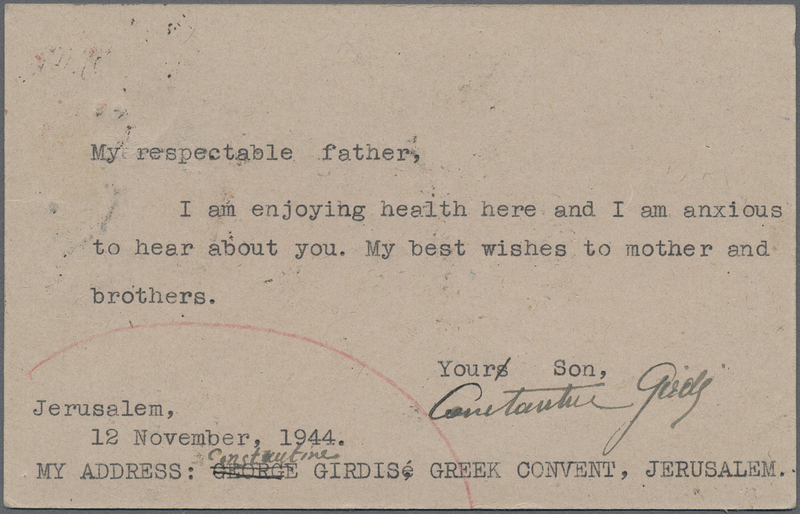 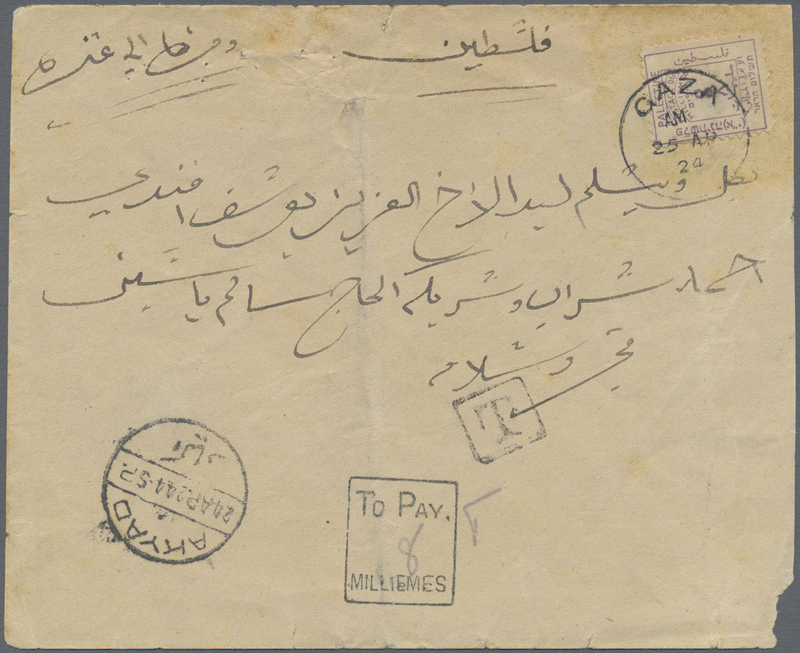 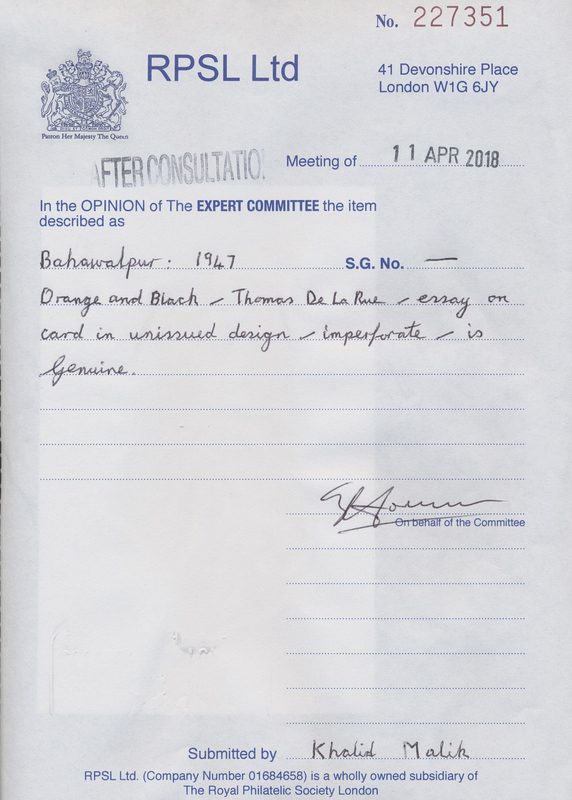 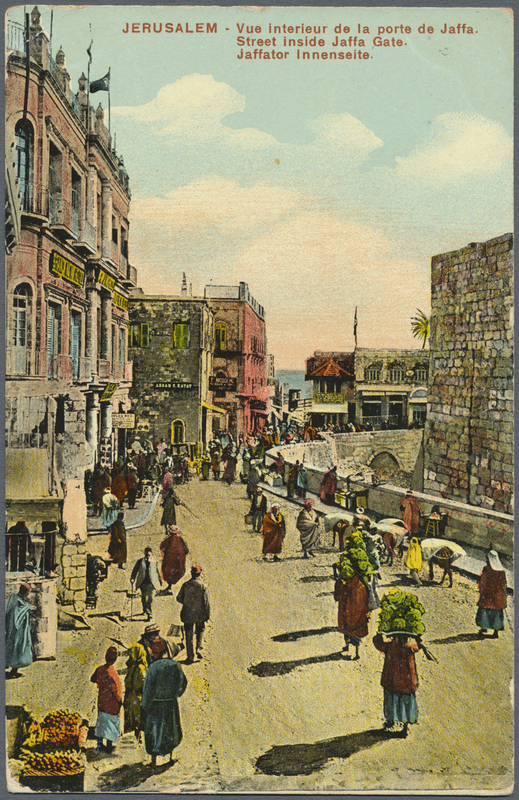 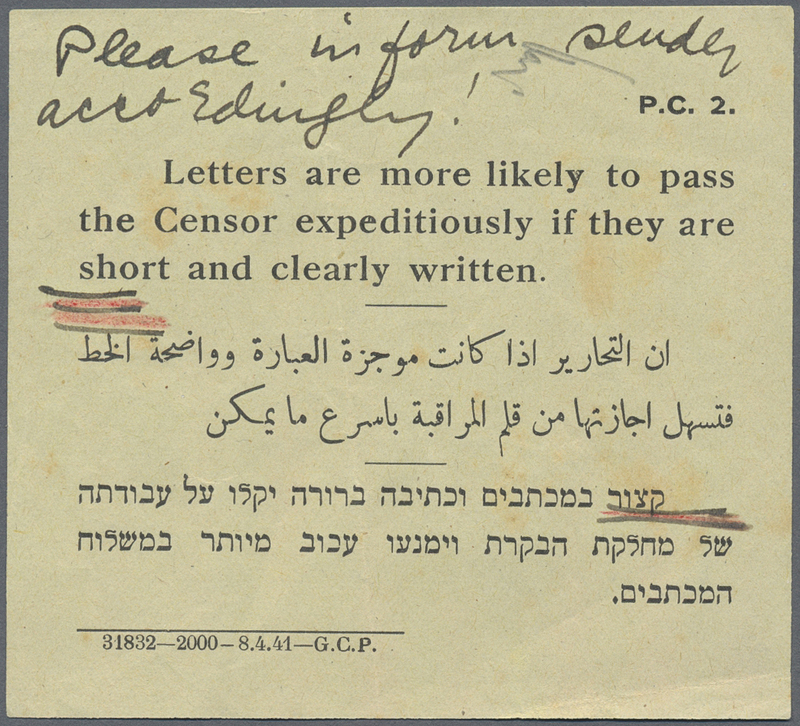 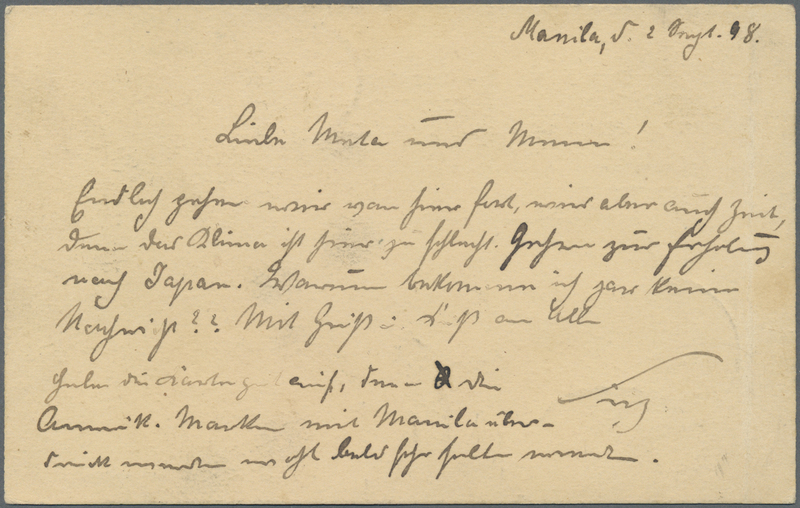 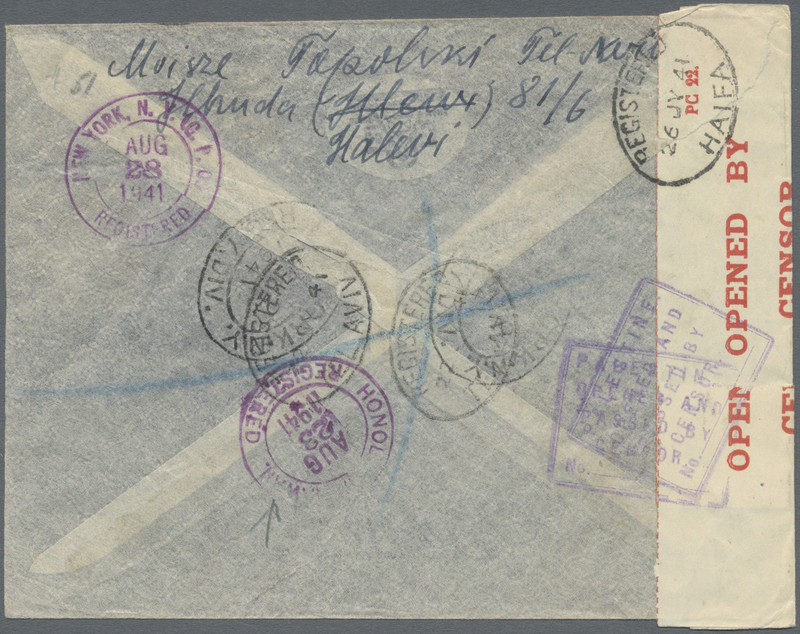 Date unreadable, but card dated "Manila, d. 2 Augst 98". 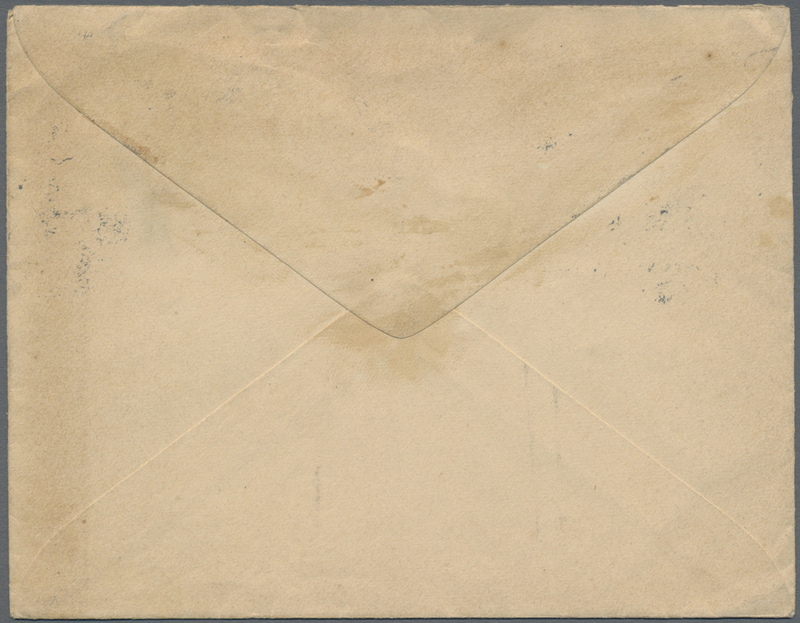 Vertical file bend at left. 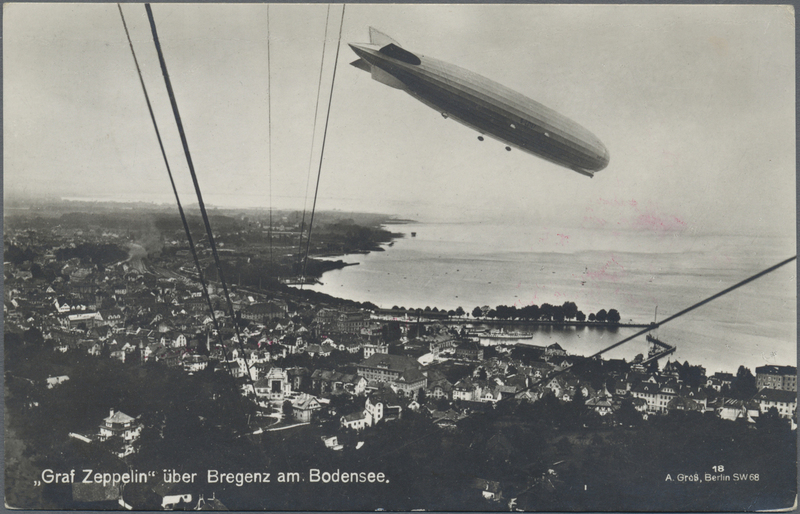 9560 Ansichtskarte (Picture postcard) 423 1929, incoming souvenir postcard "Graf Zeppelin" franked with 2 RM Zeppelin blue, red special postmark "WELTRUNDFAHRT" (flight around the World) and one-liner "Friedrichshafen (Bodensee)-Toko" shipped from Friedrichshafen to Manila, rare! 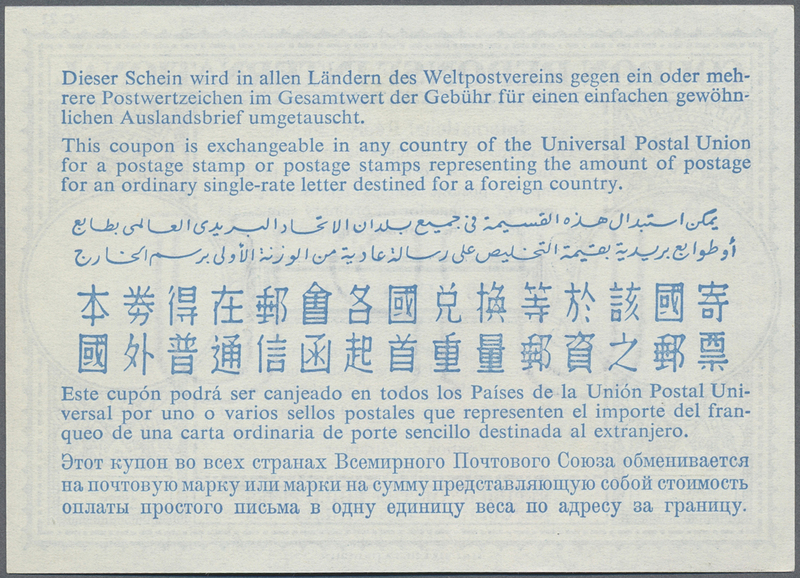 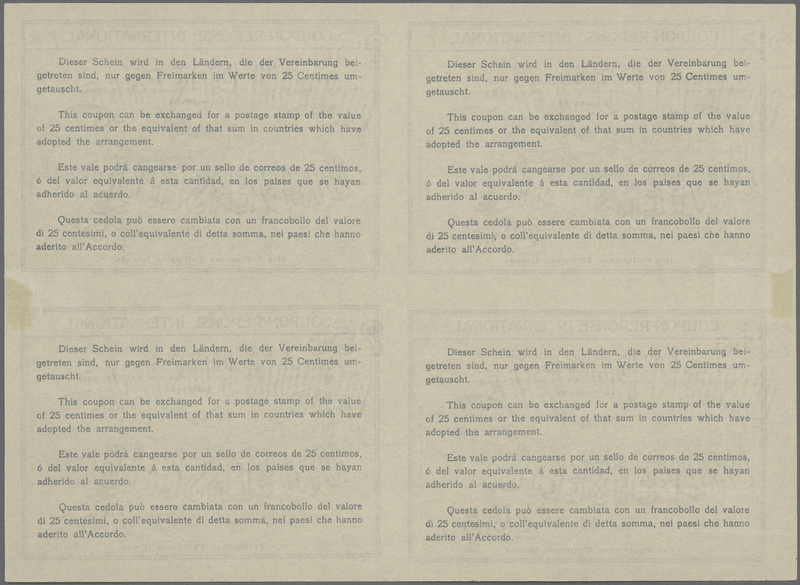 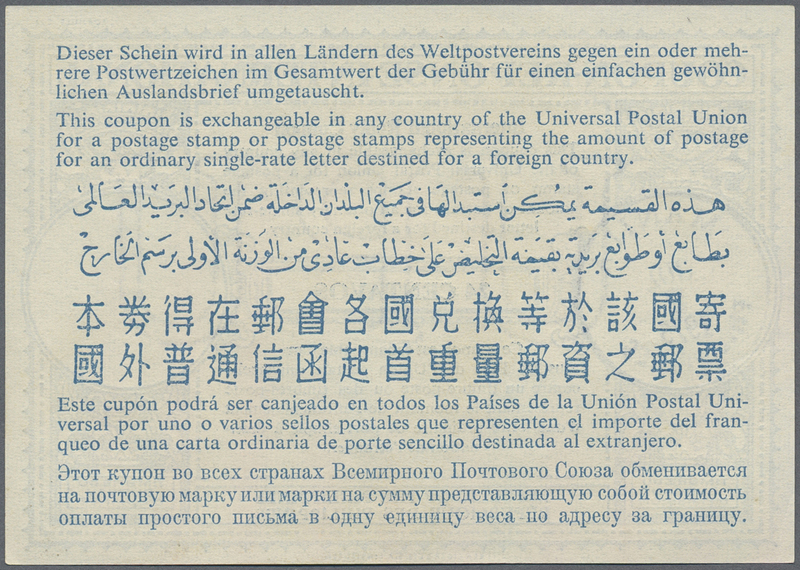 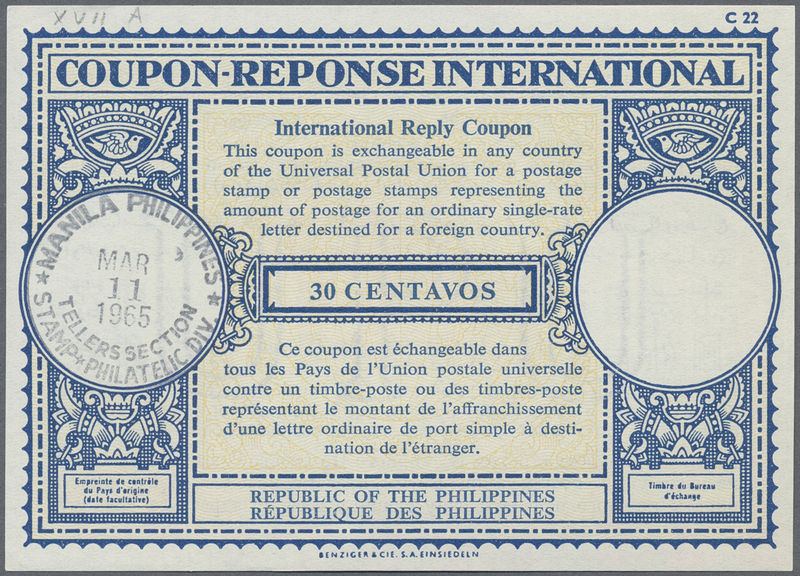 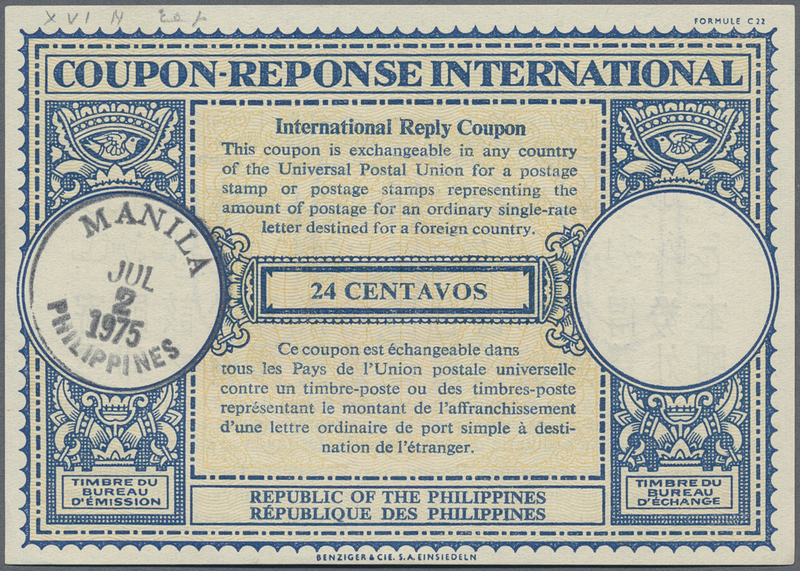 9561 Ganzsache (Complete) IAS 1947, INTERNATIONAL REPLY COUPON »Republic of the Philippines. 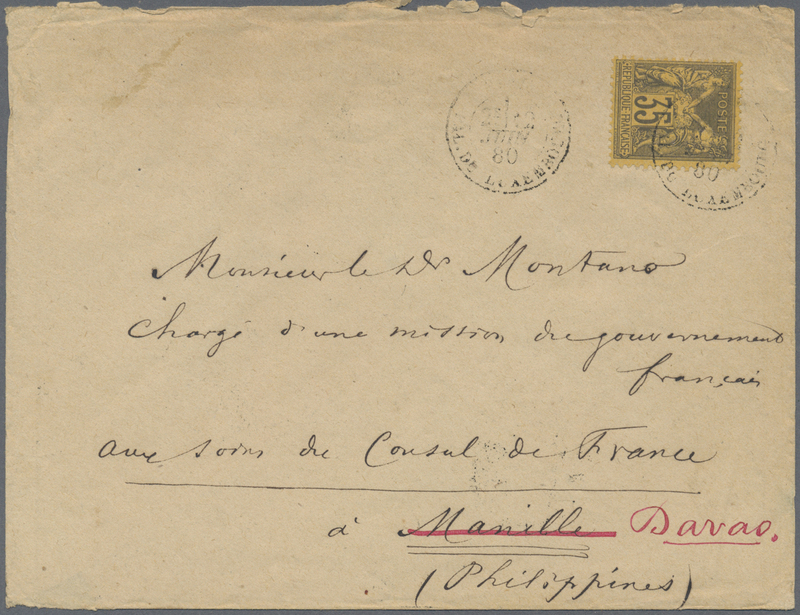 République des Philippines – 24 Centavos« (London design) in a bloc of four, this bloc belongs to the rarest postal stationery and is a key item of any exhibition collection, the importance and real value is still very much underestimated, a highlight of every postal stationery or country collection, this offer comes from the collection Eugène Thomas (Président d'honneur du Congrés postal universel de Paris 1947), UNIQUE! 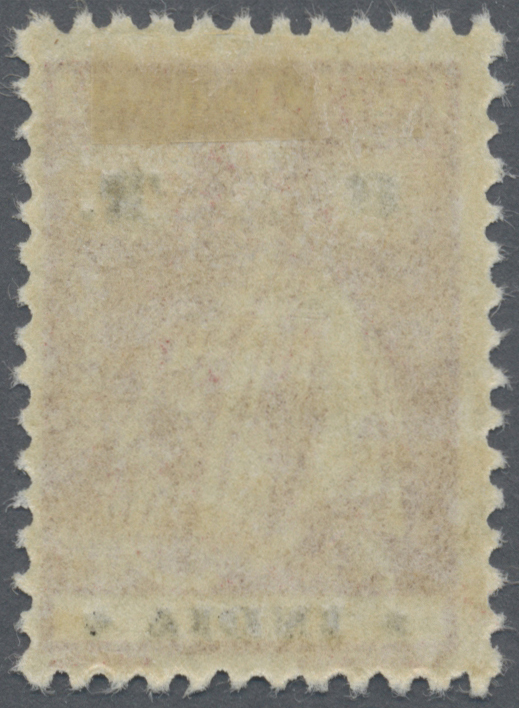 9563 Ganzsache (Complete) 1965/75, 1930 (ca. 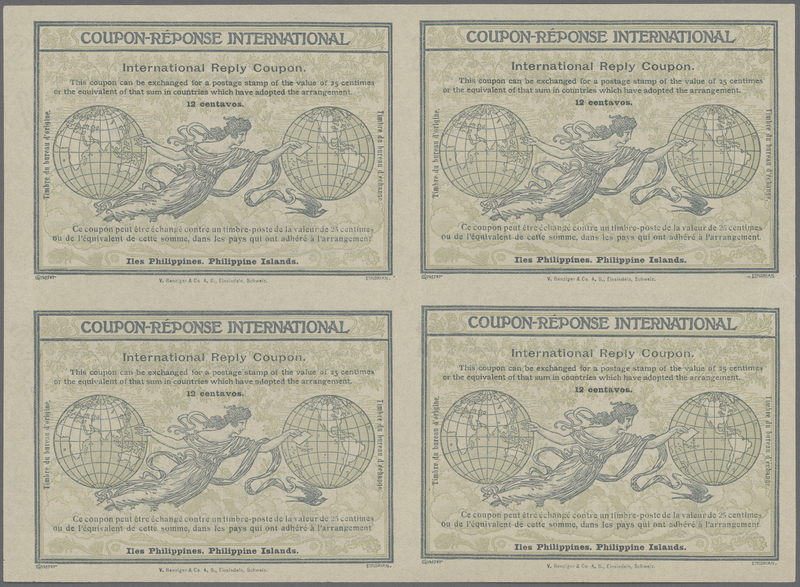 ), IRC international reply coupons: 24 Ct and 30 Ct., used. 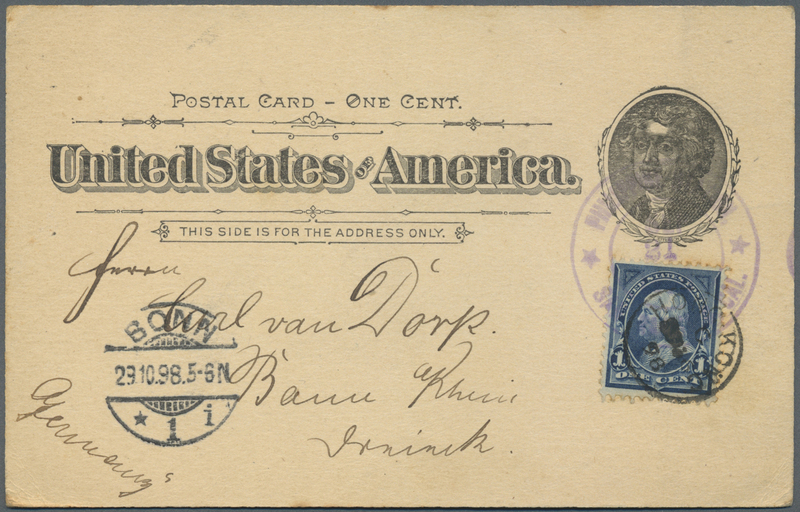 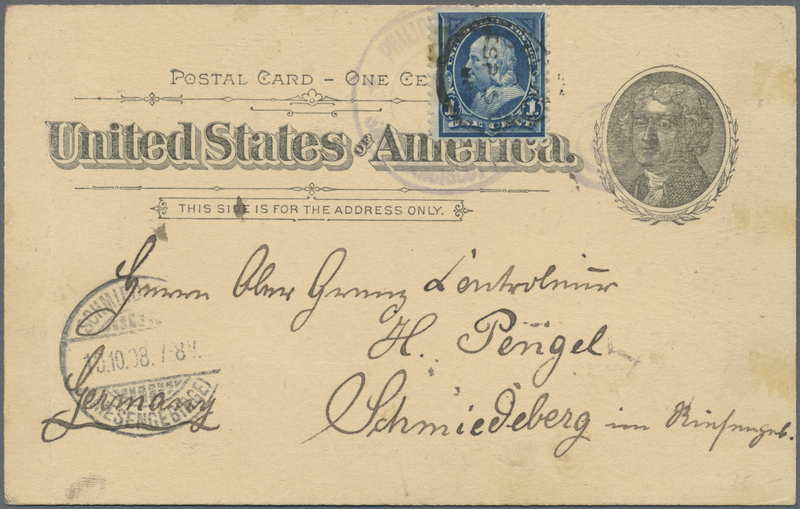 9565 Ganzsache (Complete) 1898, card 1 C. uprated 1 C. blue canc. 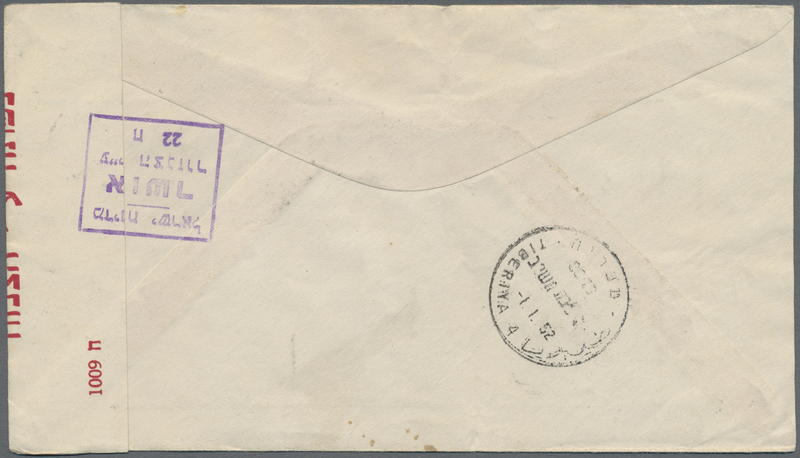 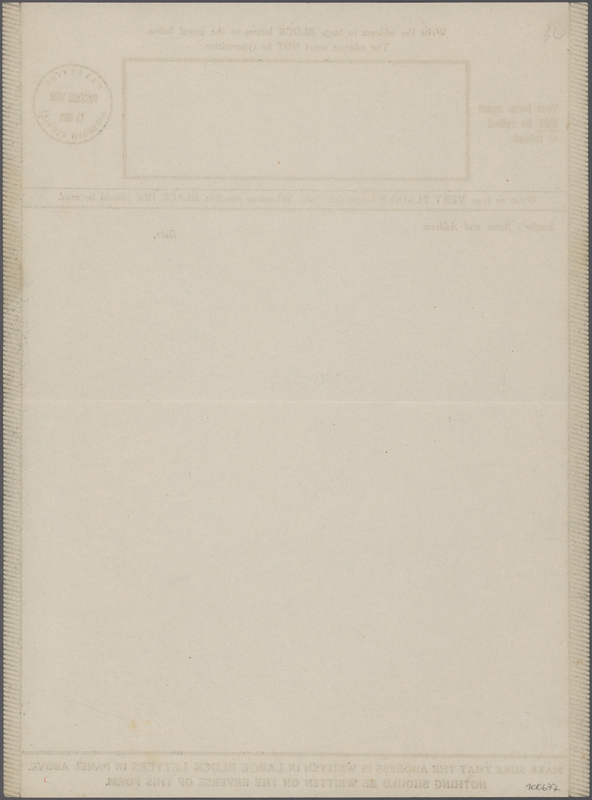 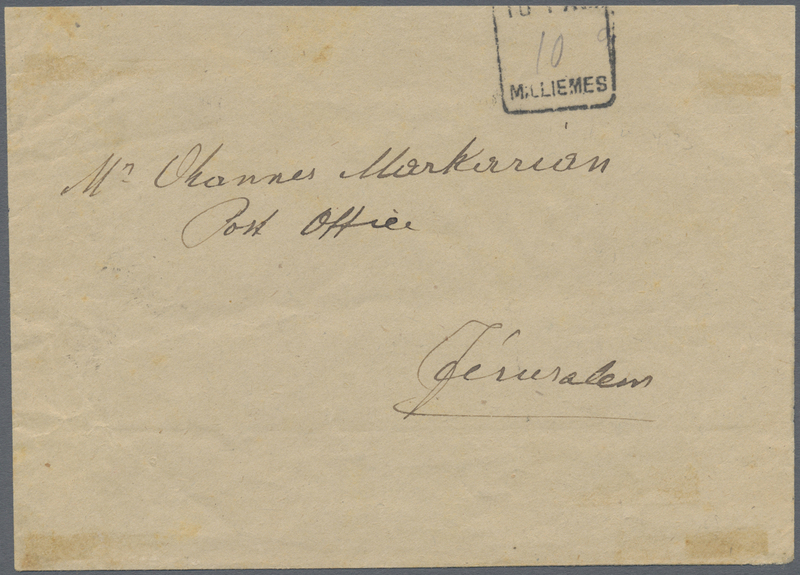 violet double circle "PHILIPPINE STATION BRANCH SEP 21 1898 SAN FRANCISCO CAL." 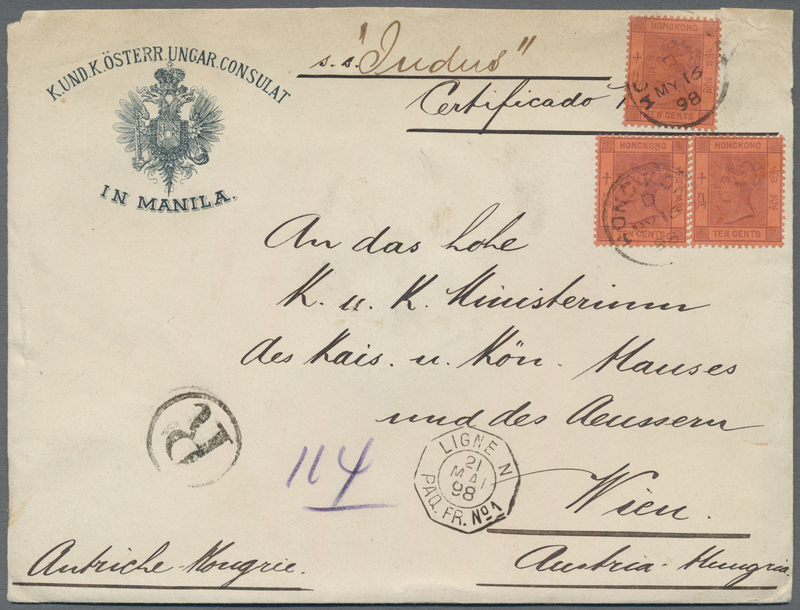 to Germany w. arrival "BONN 29.10.98", on reverse senders dateline "Manila 17. 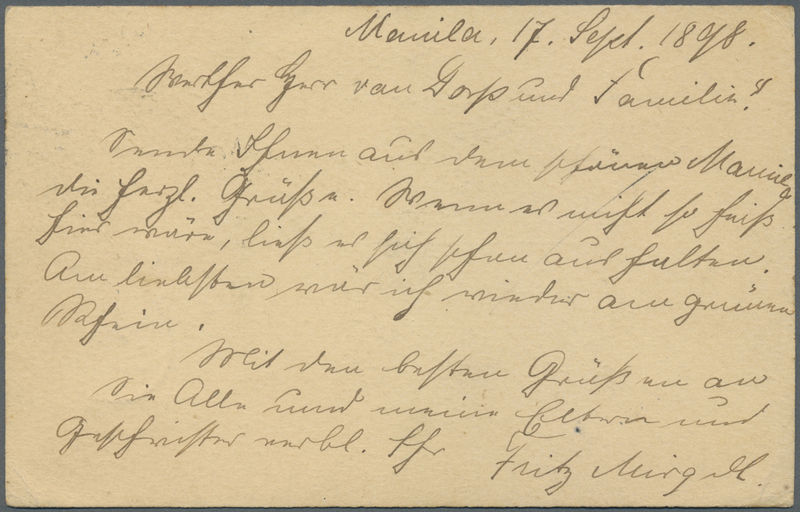 Sept. 1898". 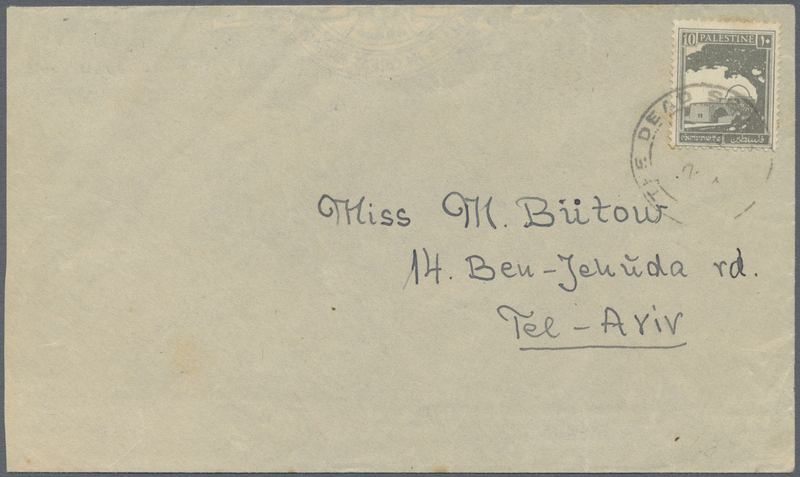 9567 Brief (cover) 141+142 1882 'Crown' 1½r. 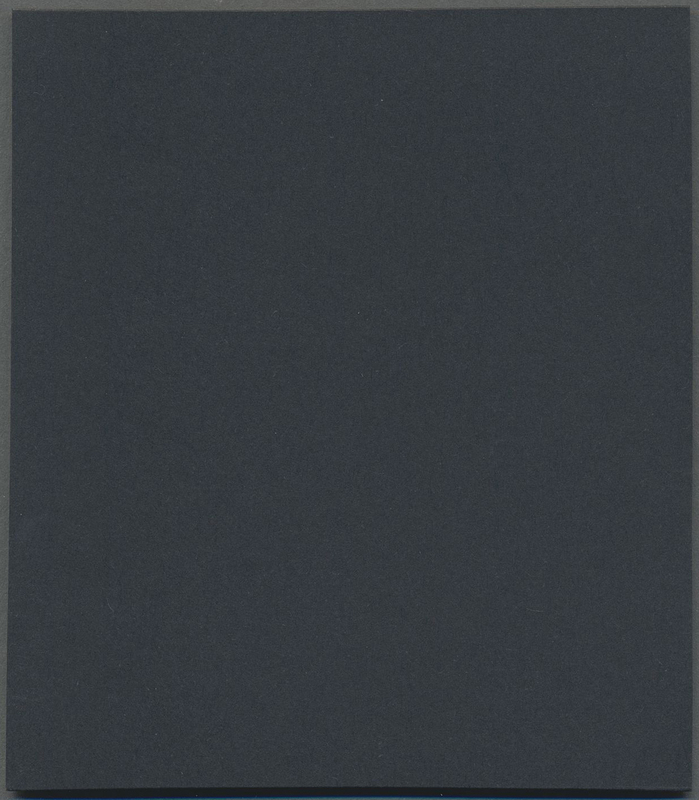 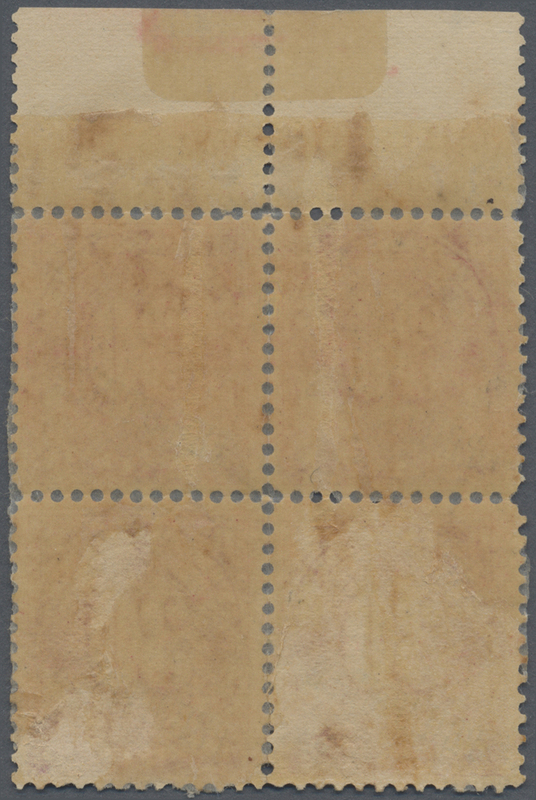 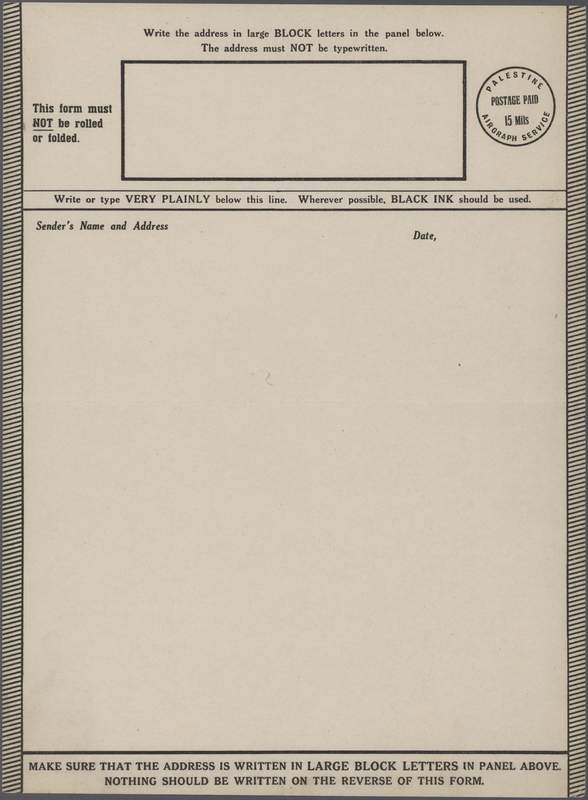 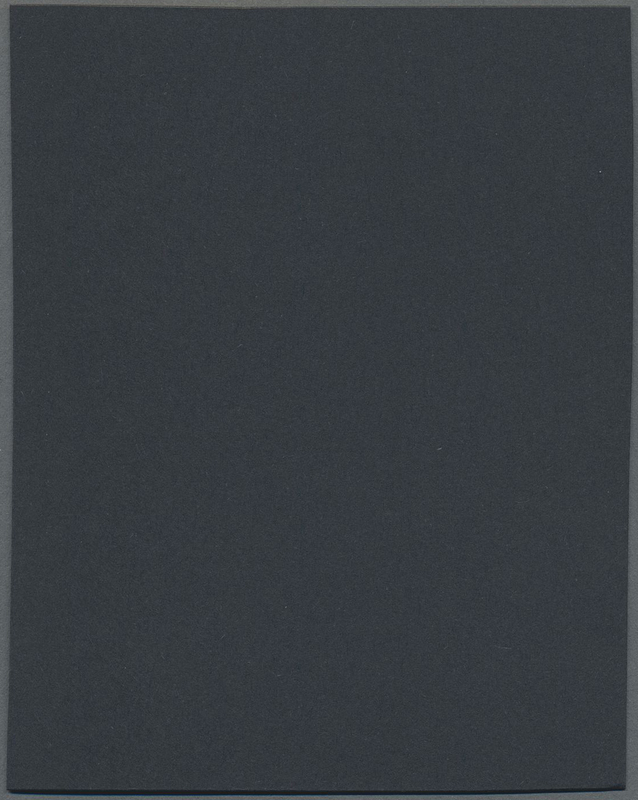 black, perforated 13, plus 4½r. 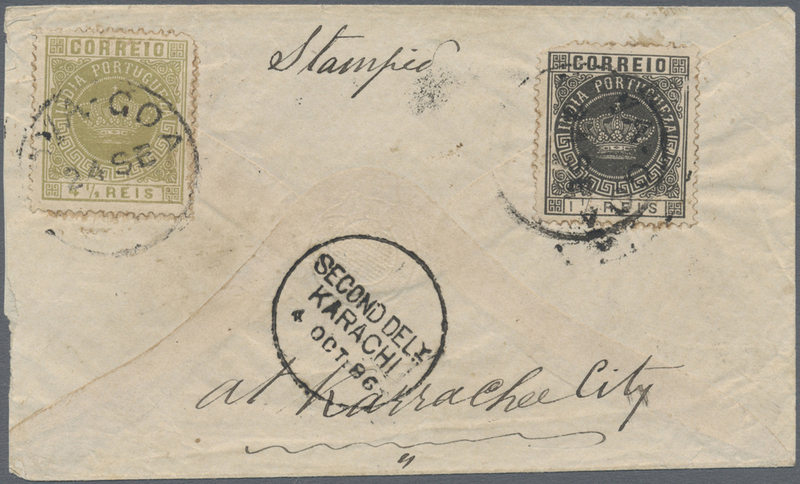 olive, perforated 13¾, used on back of small cover from Nova Goa to Karachi, both tied by "NOVA-GOA/24 SE/..." cds, Karachi 2nd Delivery '4 OCT 86' cds alongside. 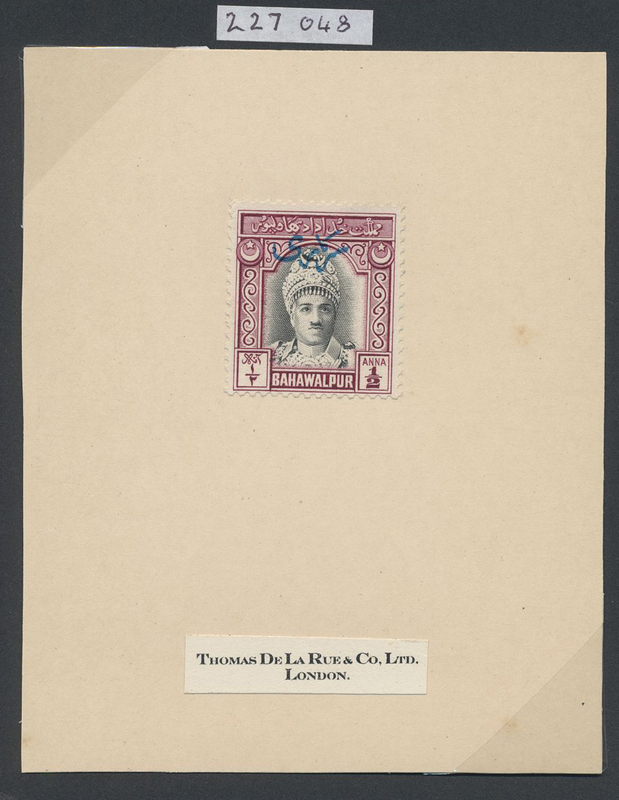 The 1½r. 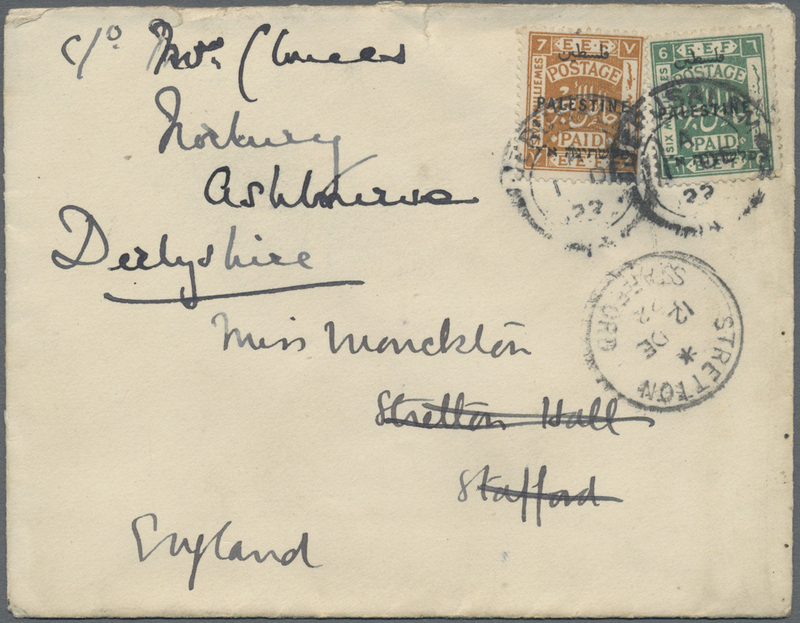 with a corner fault at top left and small scratched spots, the 4½r. 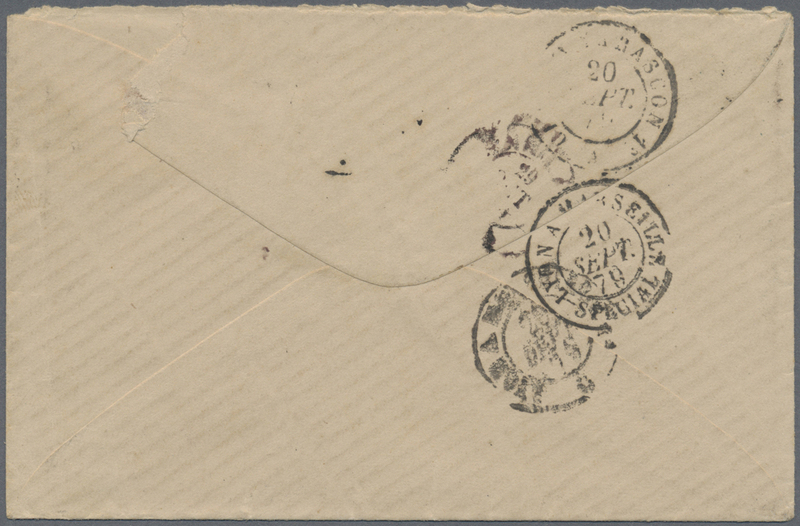 with a shortened corner perf at top right otherwise fine. 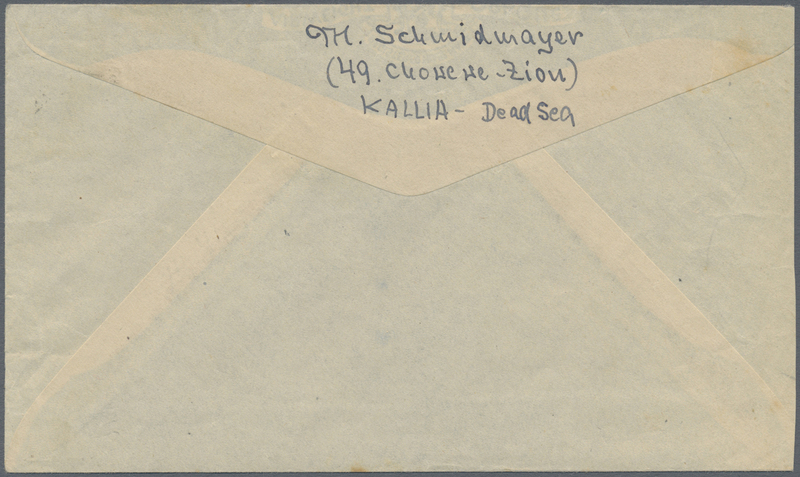 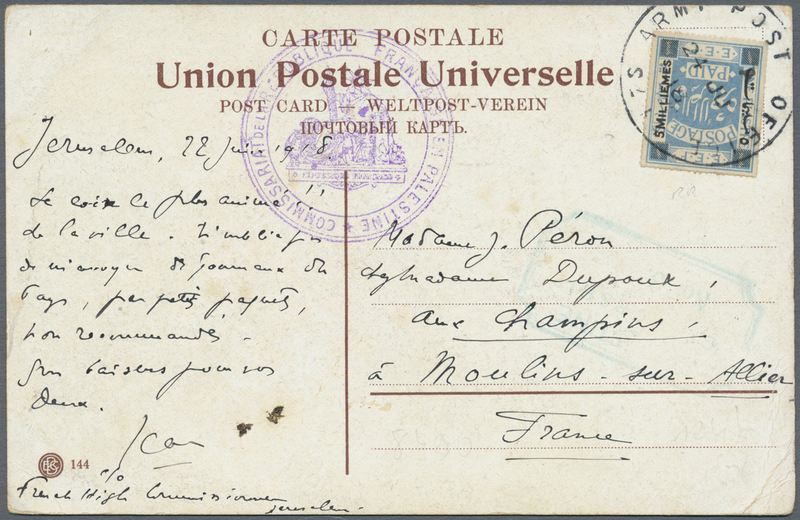 9569 Ganzsache (Complete) 1912/13, two letter cards with paid reply registered to Prague/Bohemia: 6 Rs. 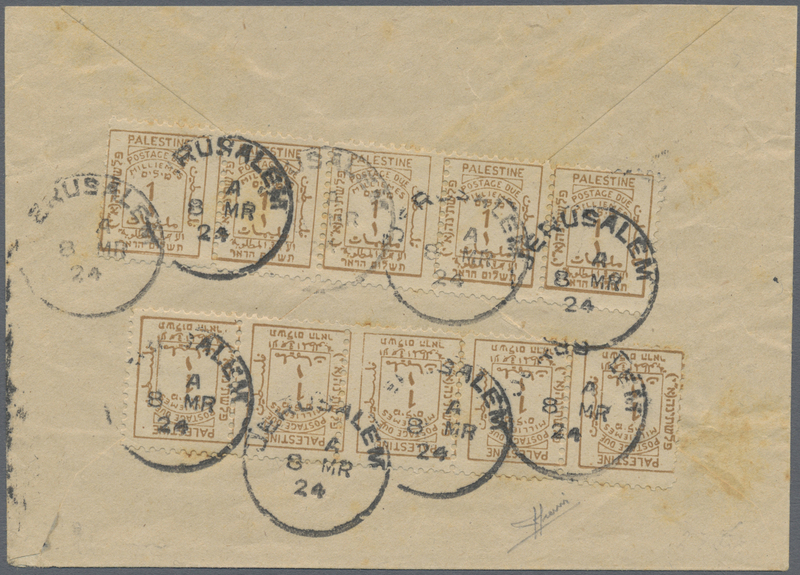 uprated bisect 6 R.s/9 Rs. 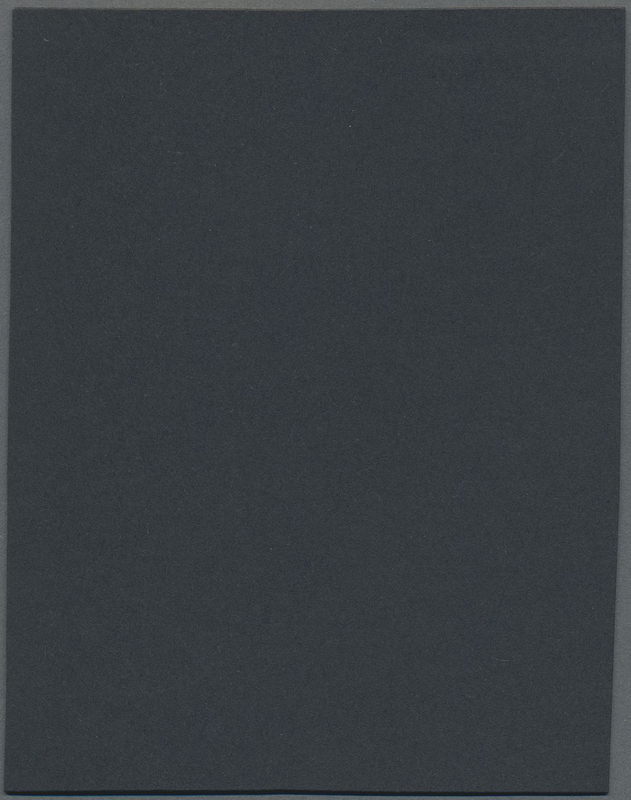 and 1 T. (3) canc. 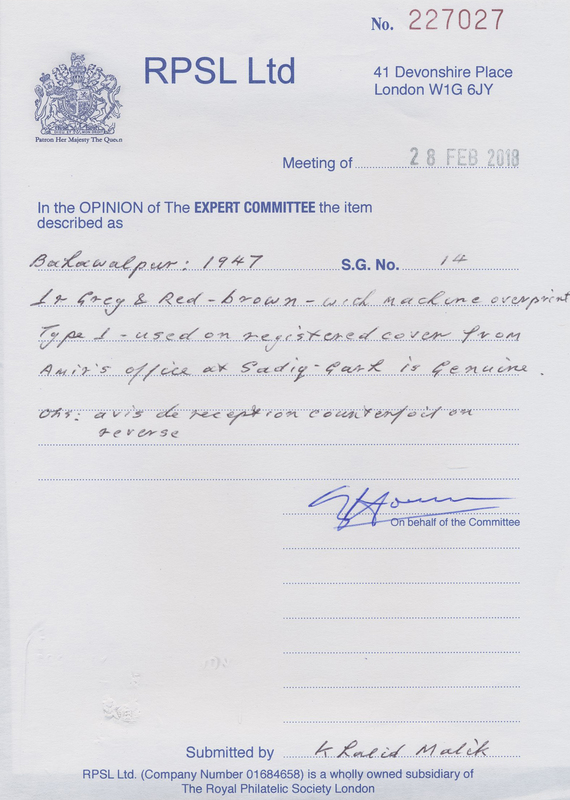 "NOVA GOA 21 FEB 13" resp. 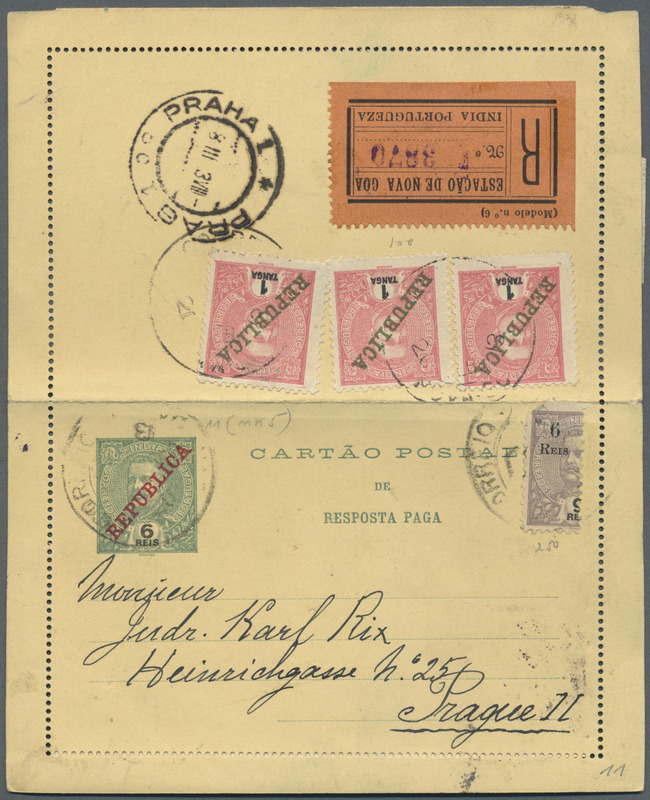 1 T. uprated 6 Rs., 2 T./2 172 T. and 6 Rs. 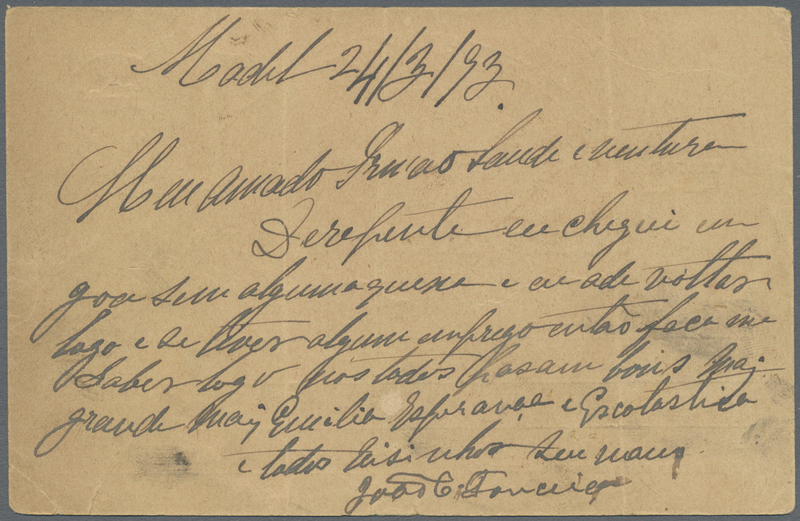 provisorio canc. 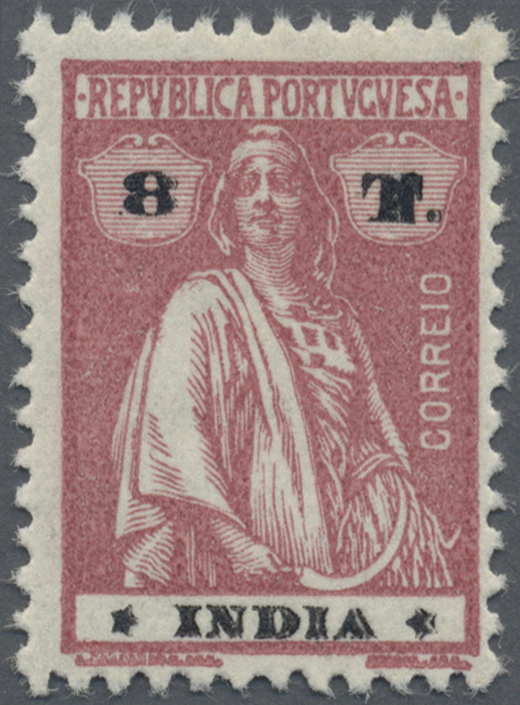 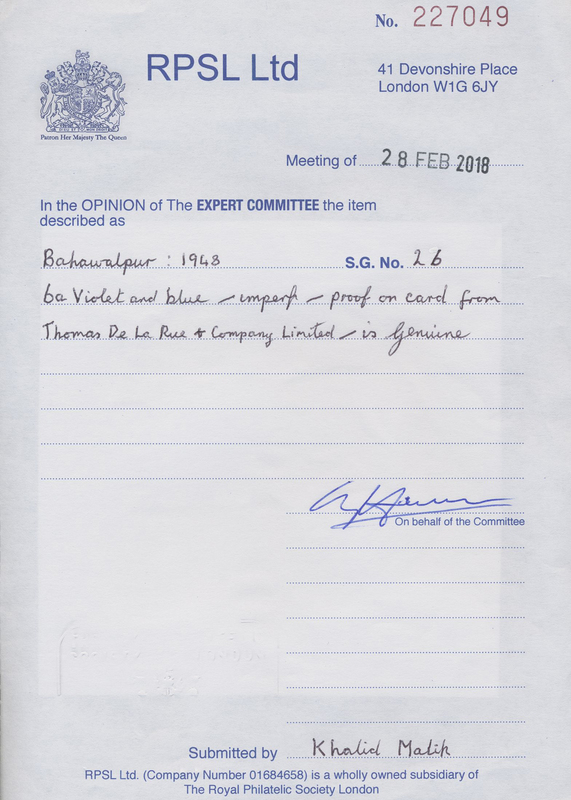 "NOVA GOA" etc. 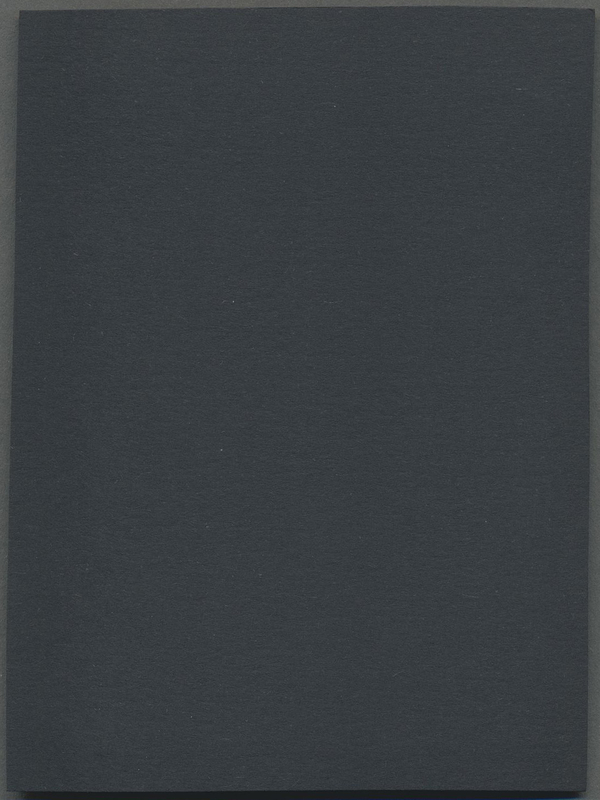 as above.